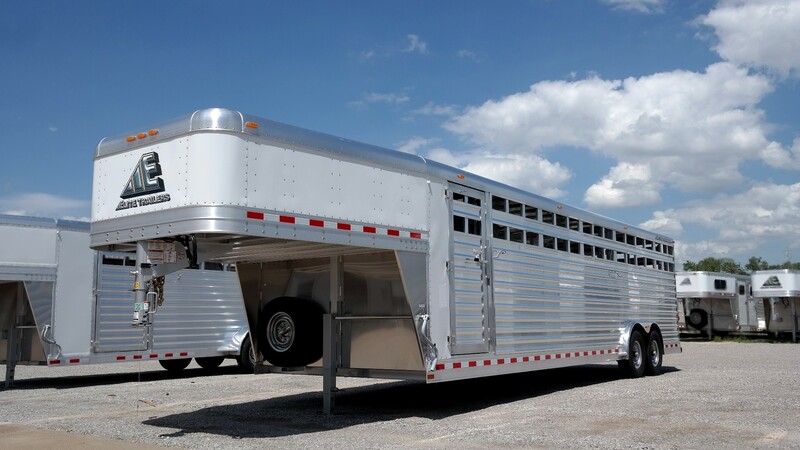 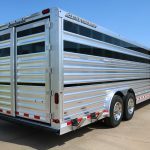 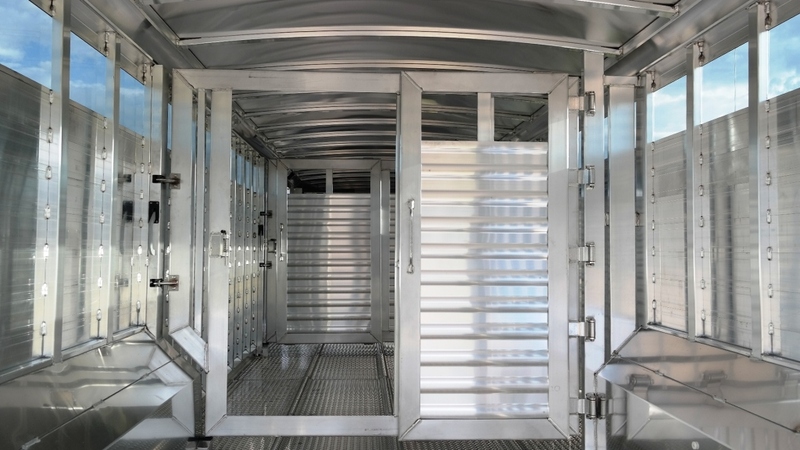 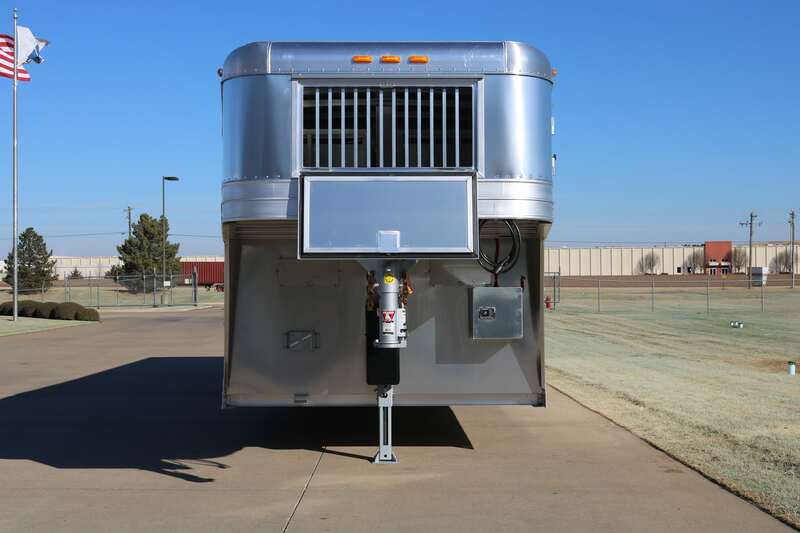 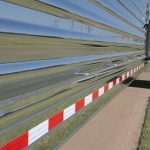 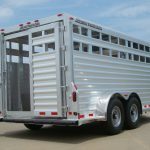 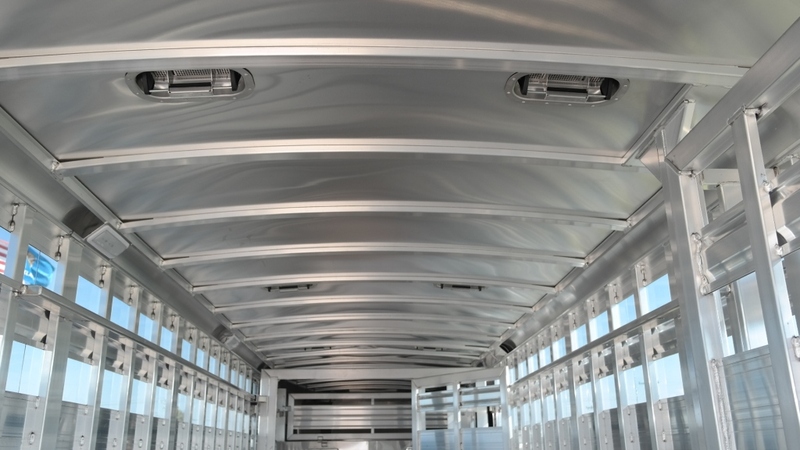 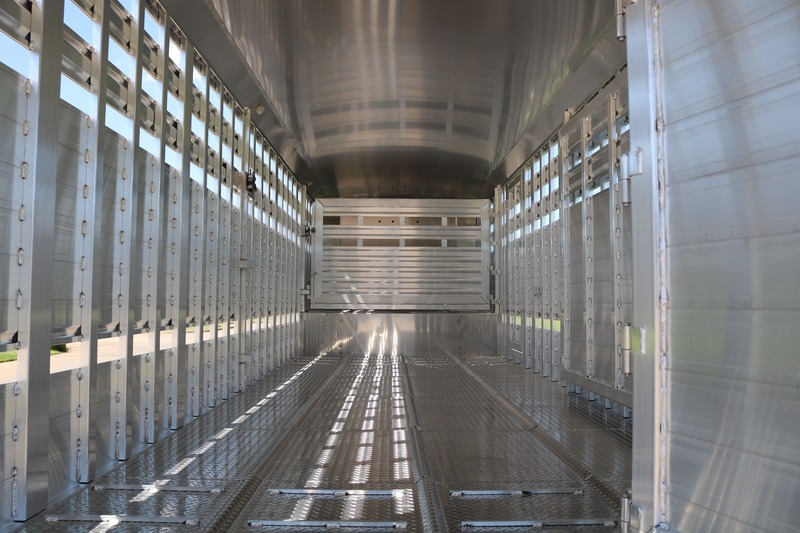 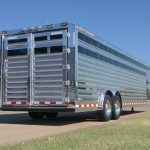 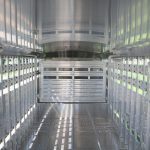 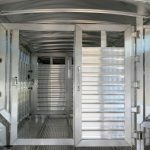 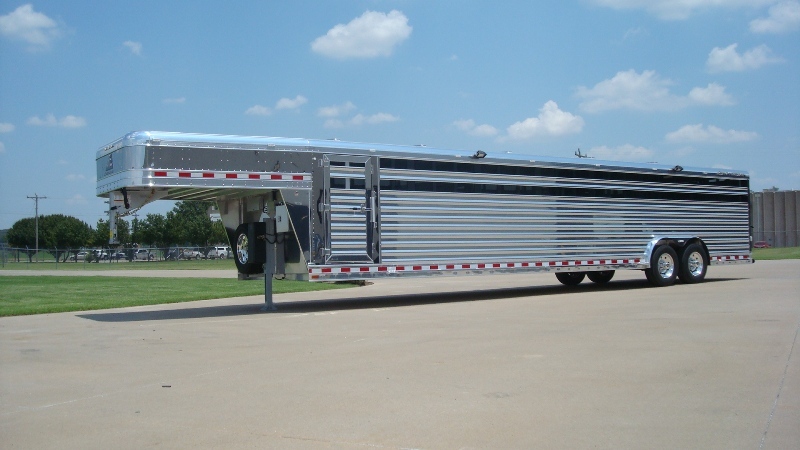 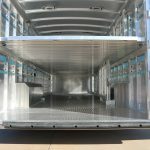 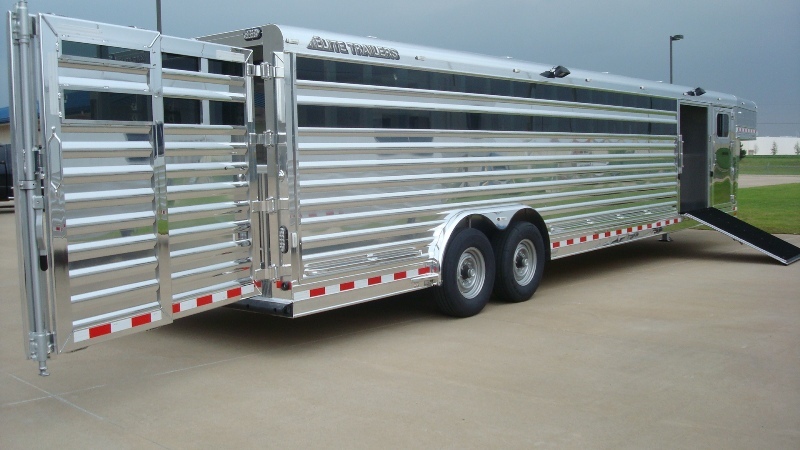 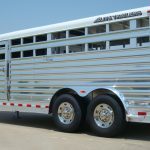 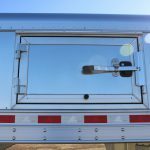 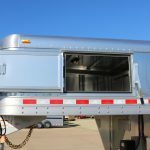 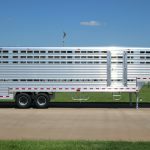 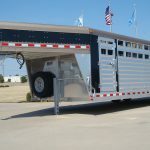 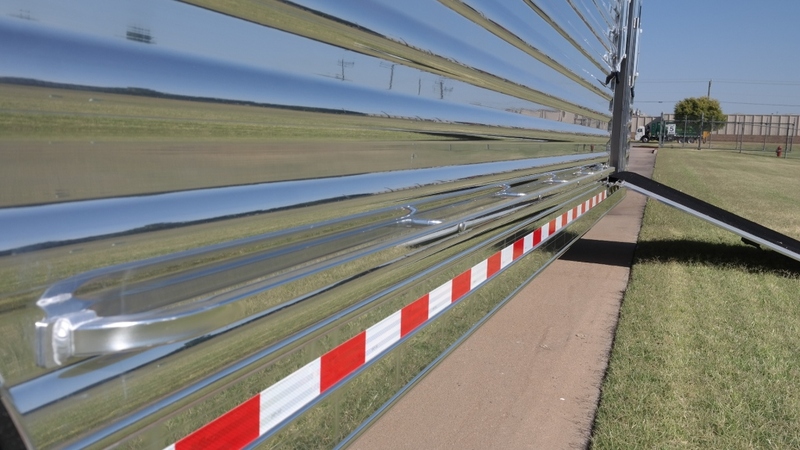 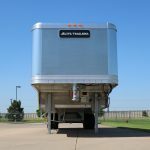 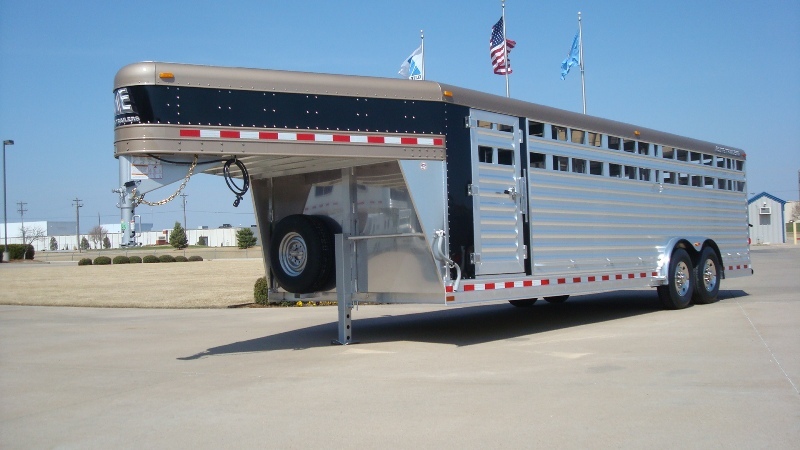 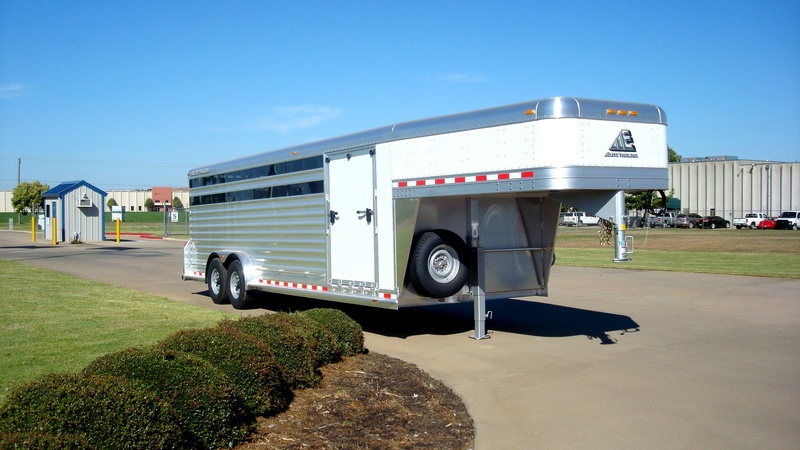 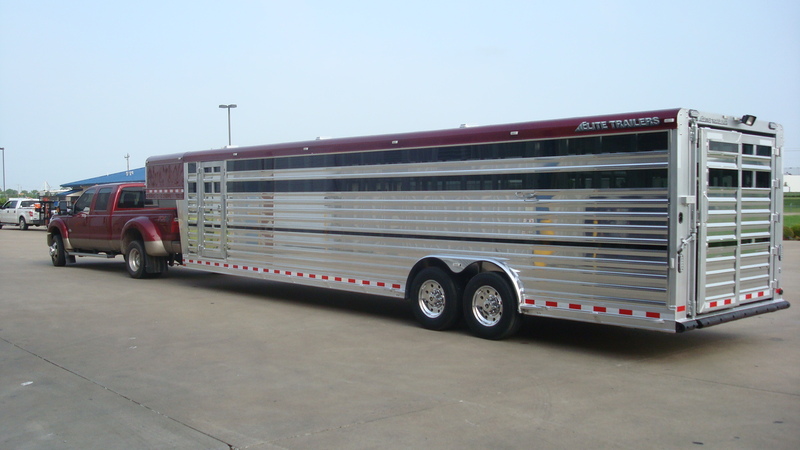 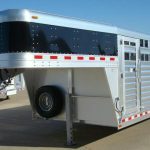 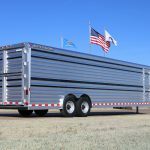 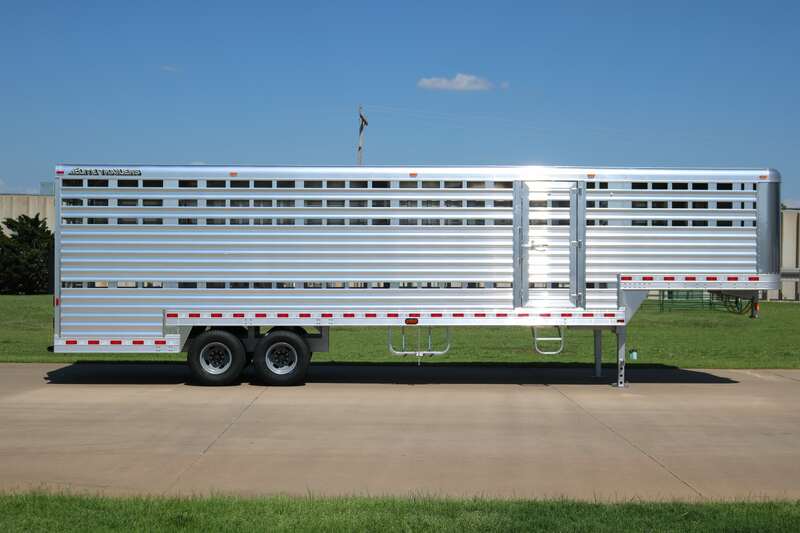 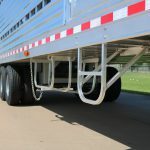 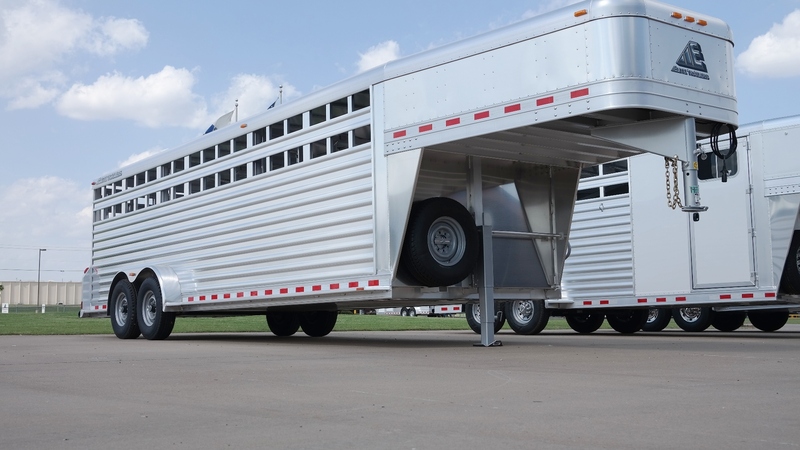 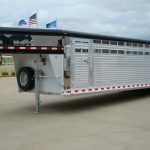 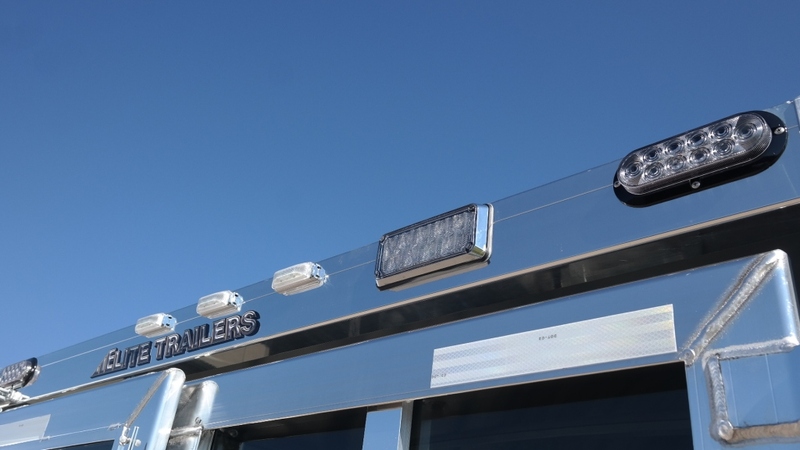 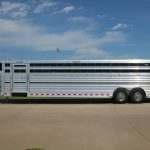 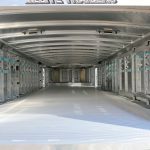 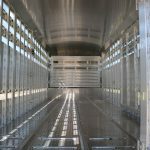 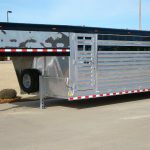 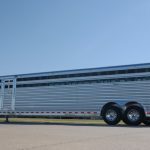 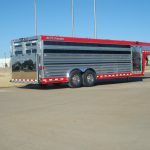 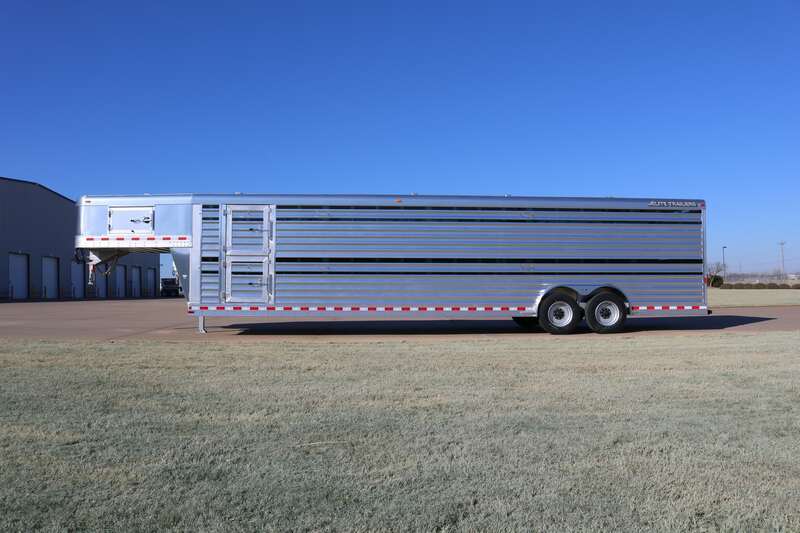 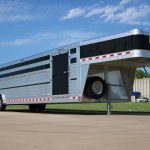 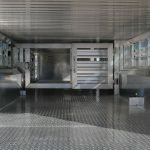 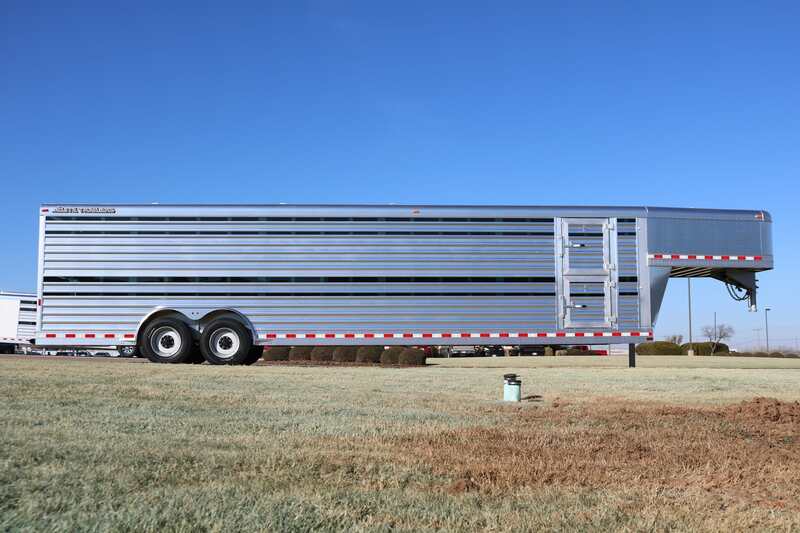 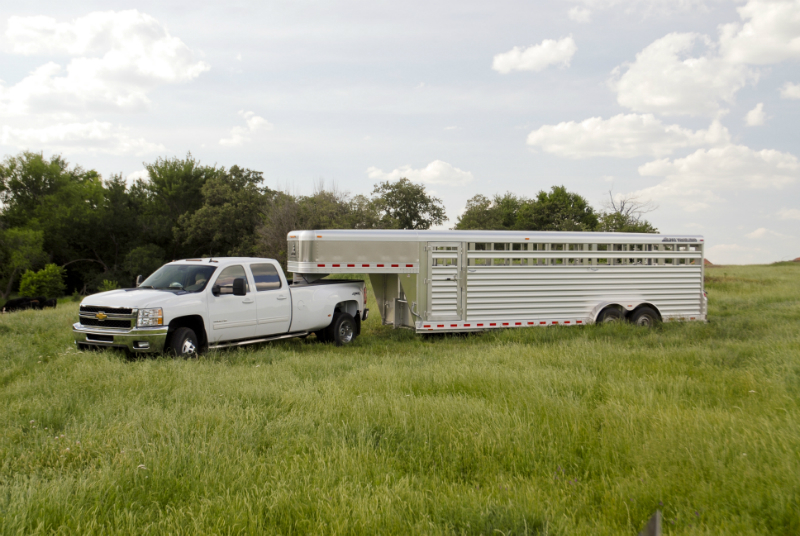 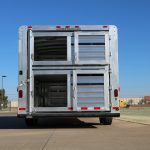 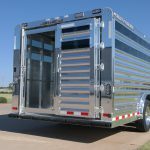 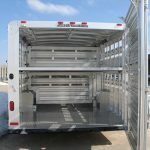 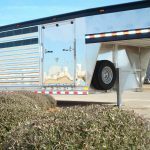 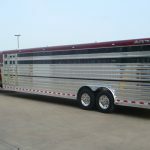 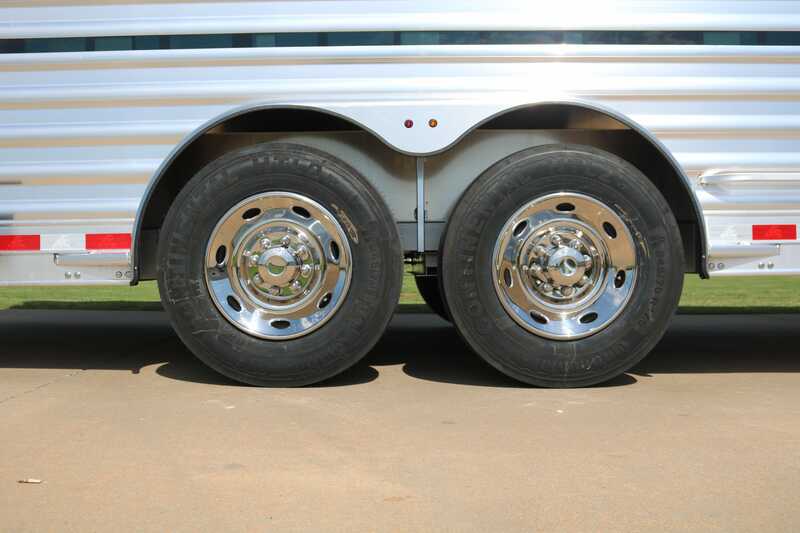 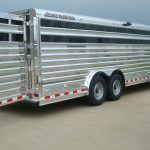 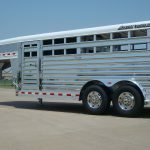 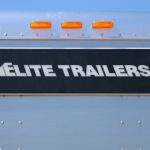 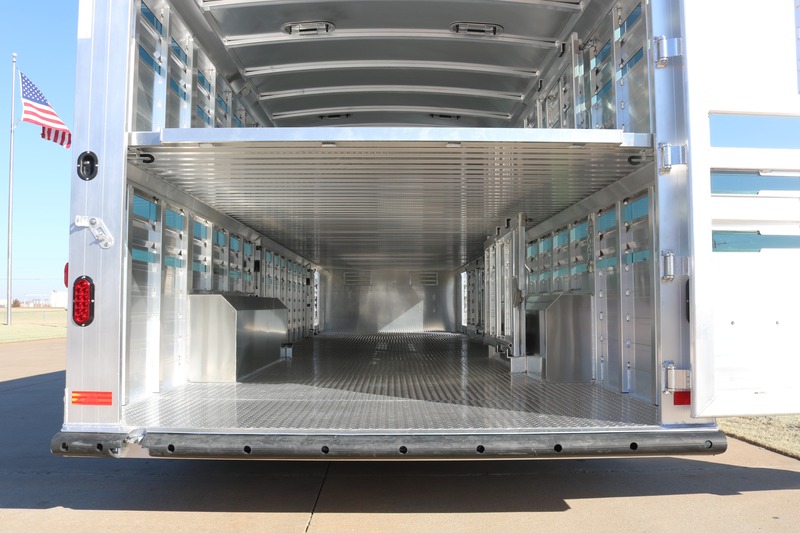 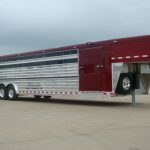 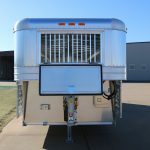 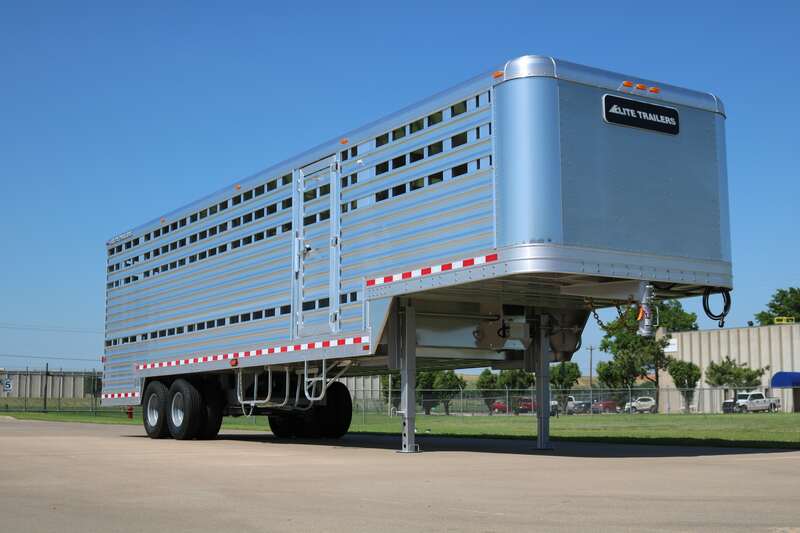 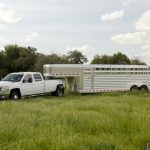 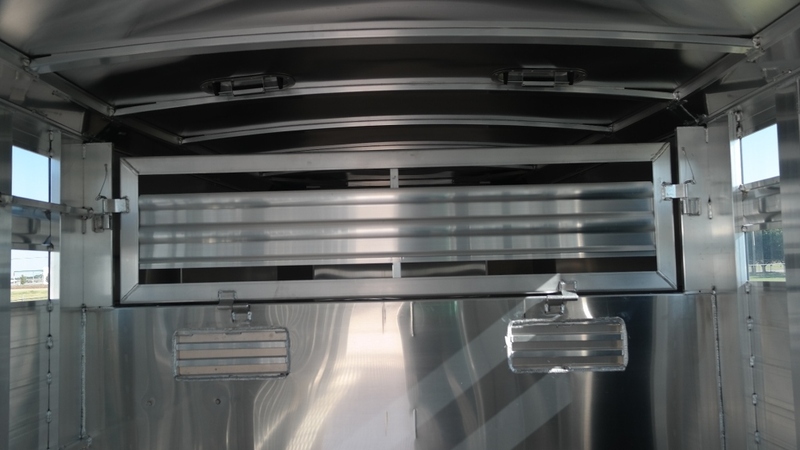 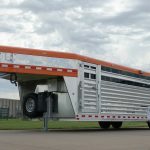 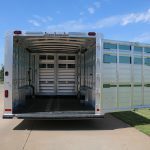 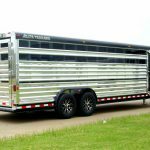 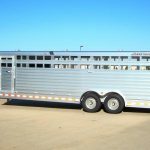 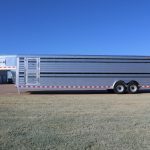 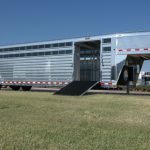 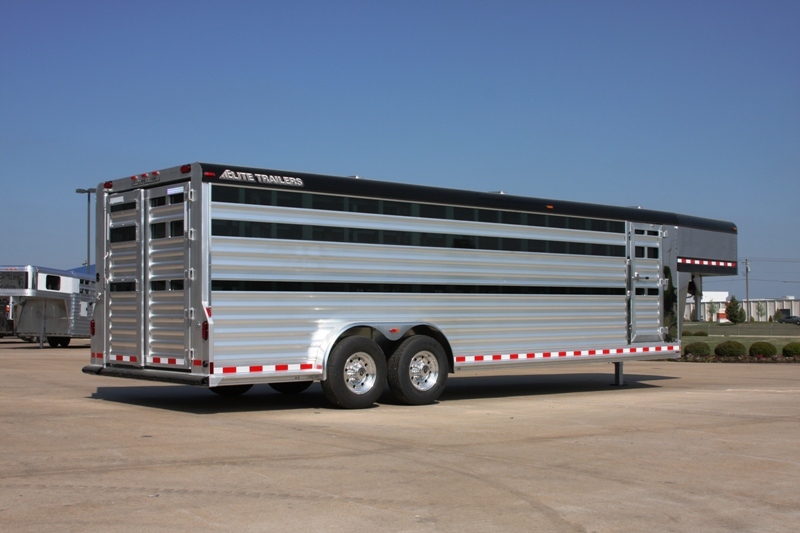 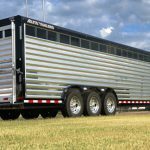 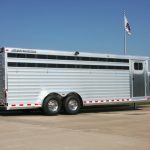 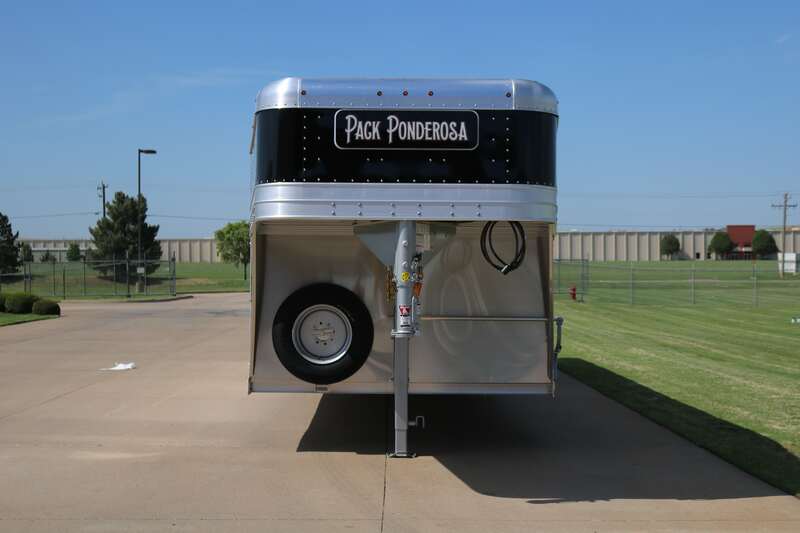 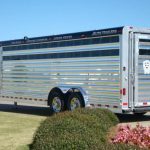 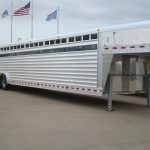 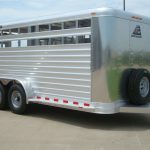 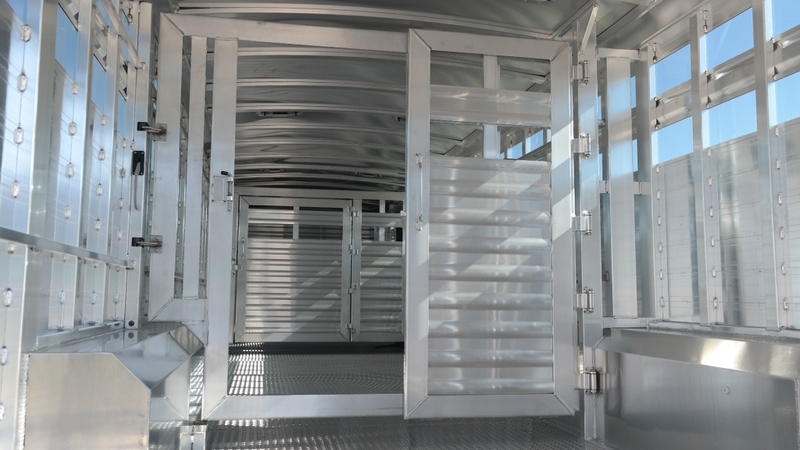 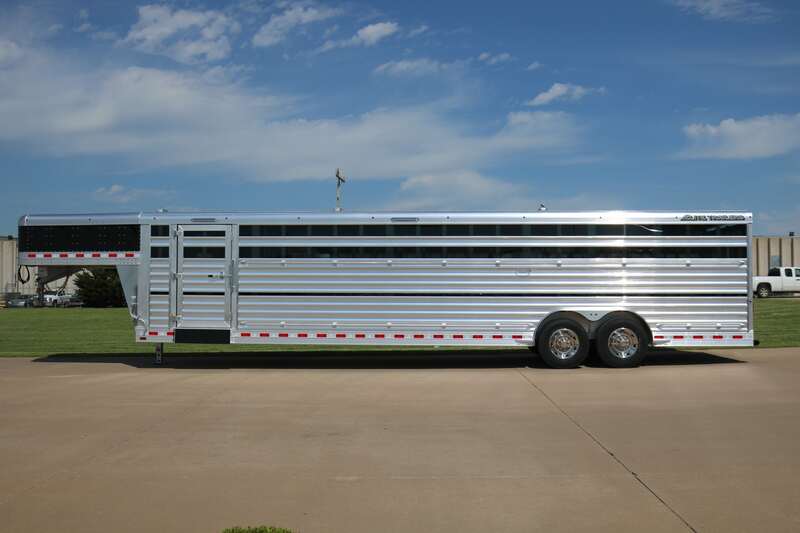 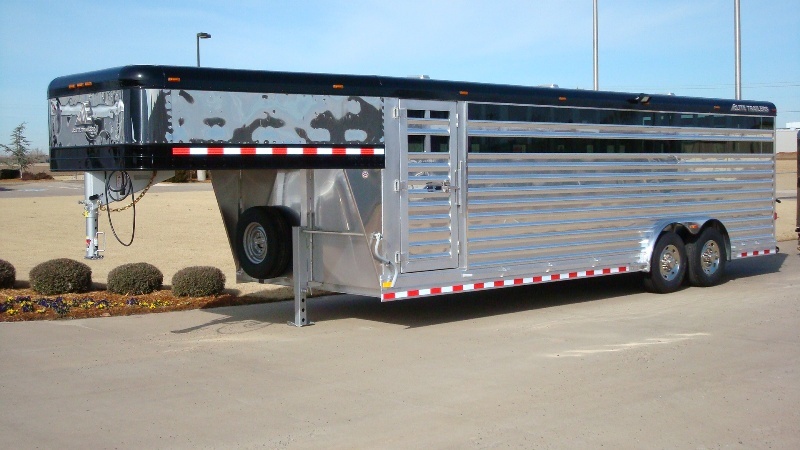 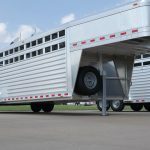 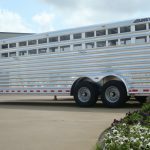 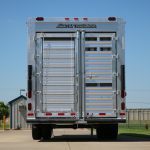 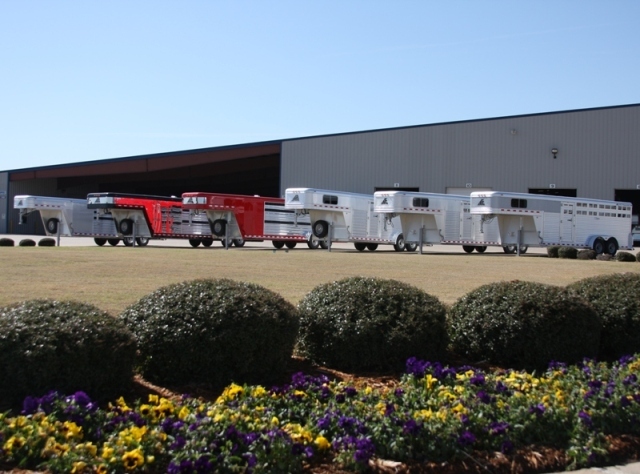 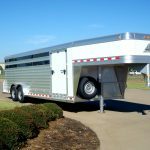 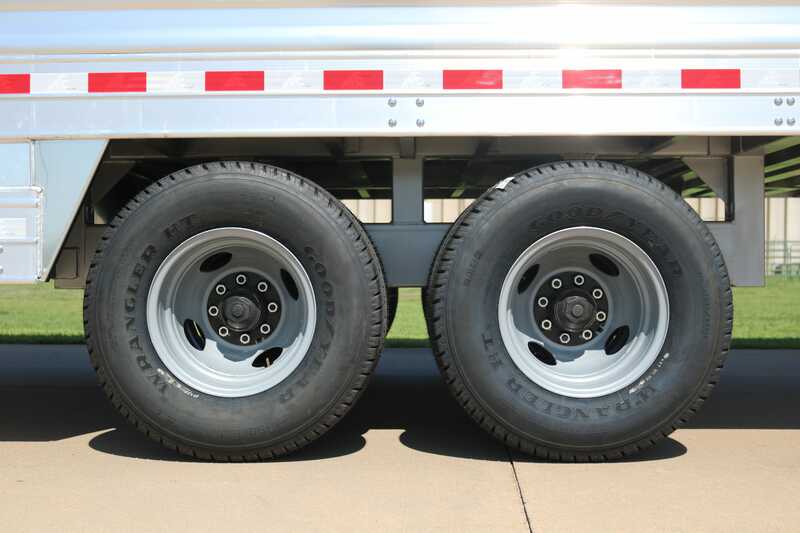 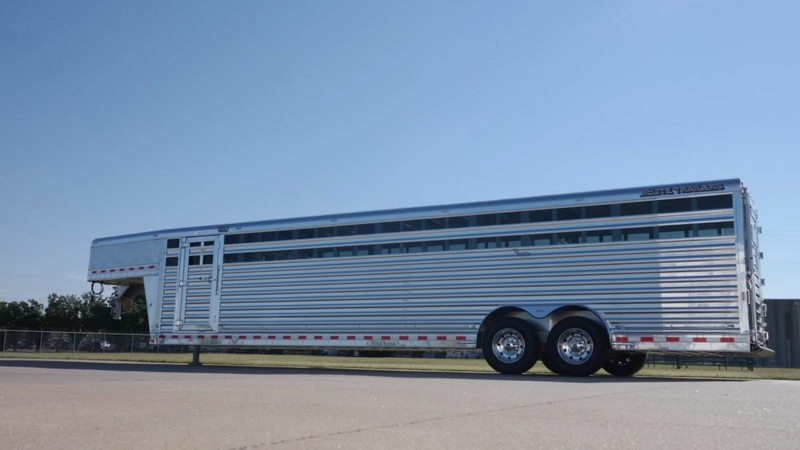 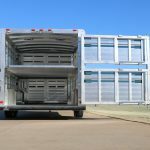 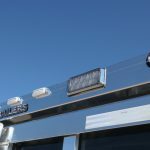 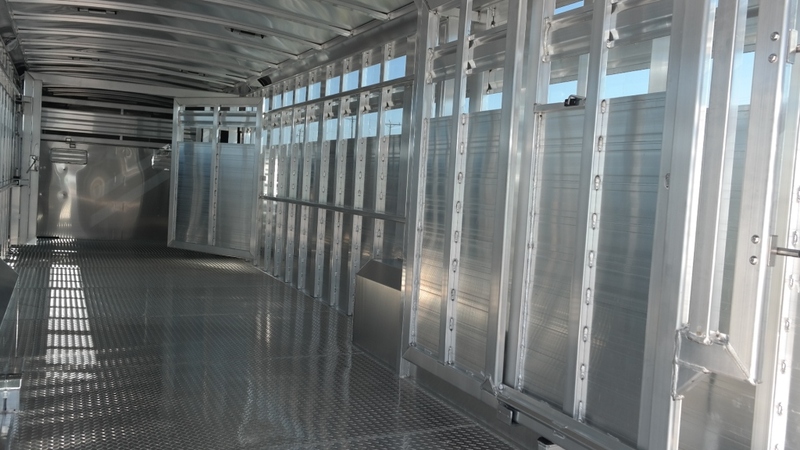 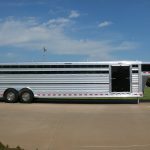 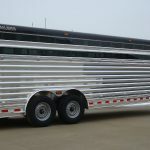 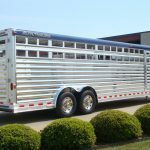 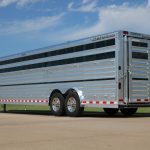 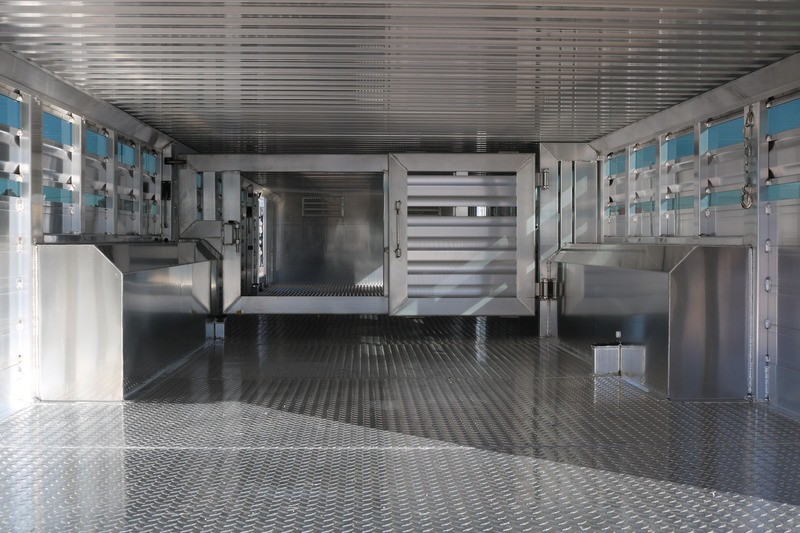 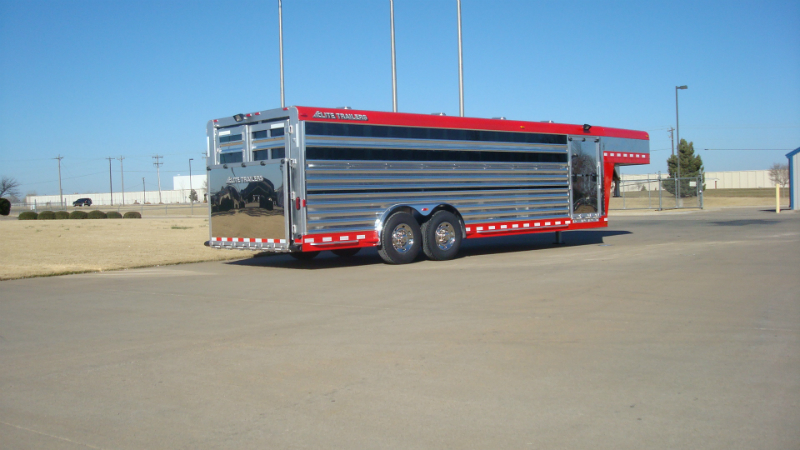 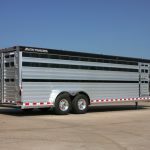 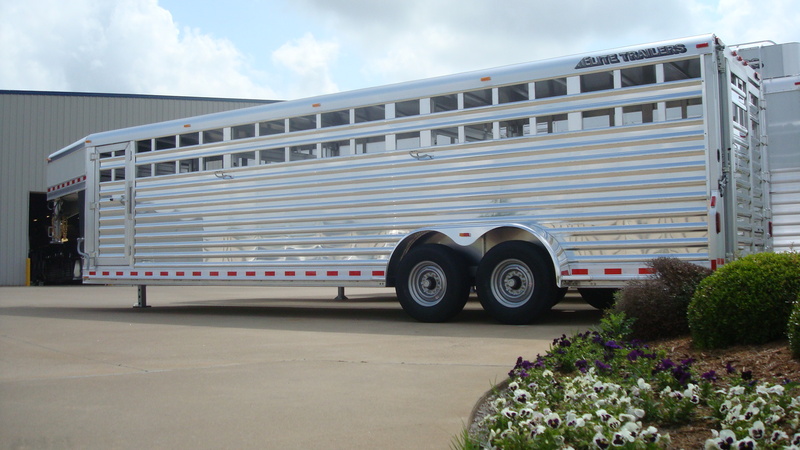 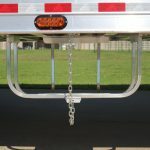 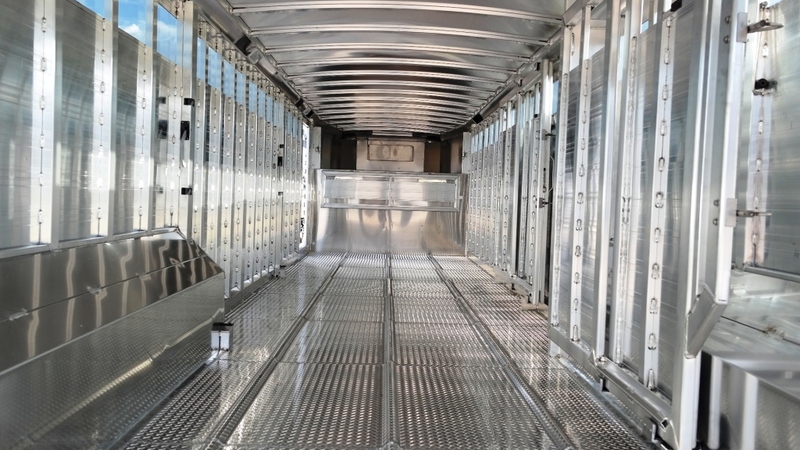 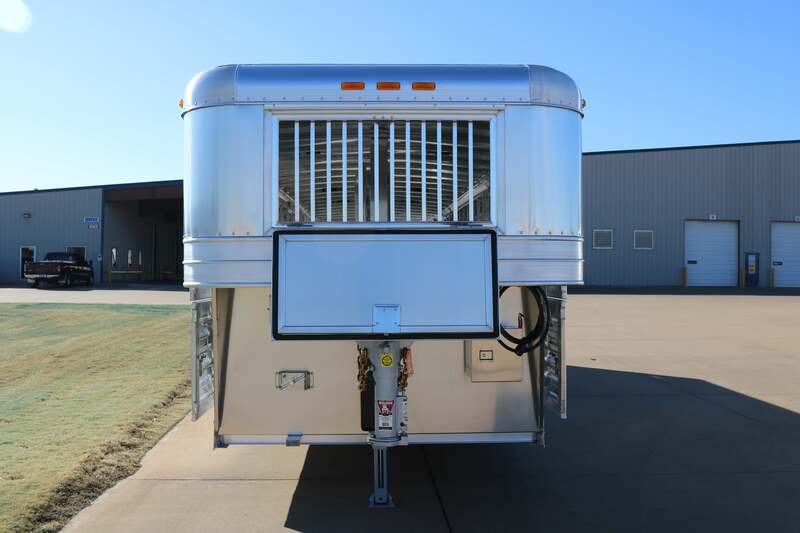 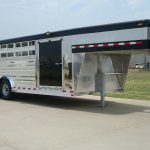 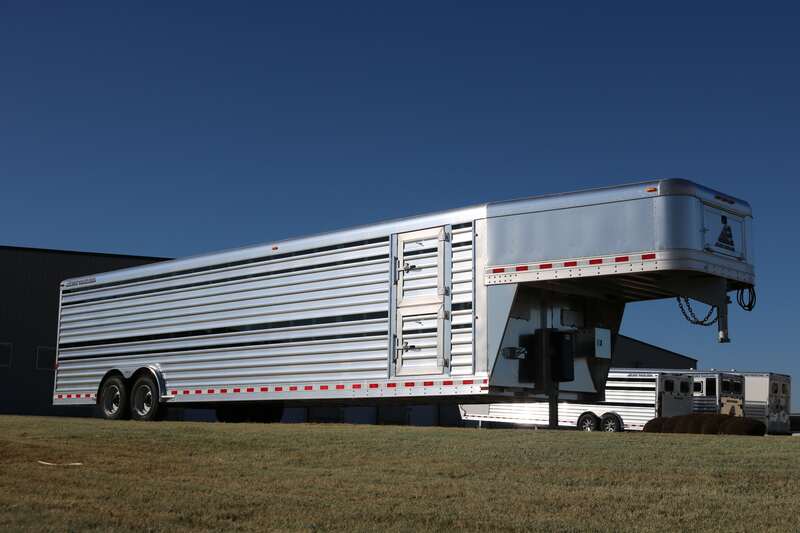 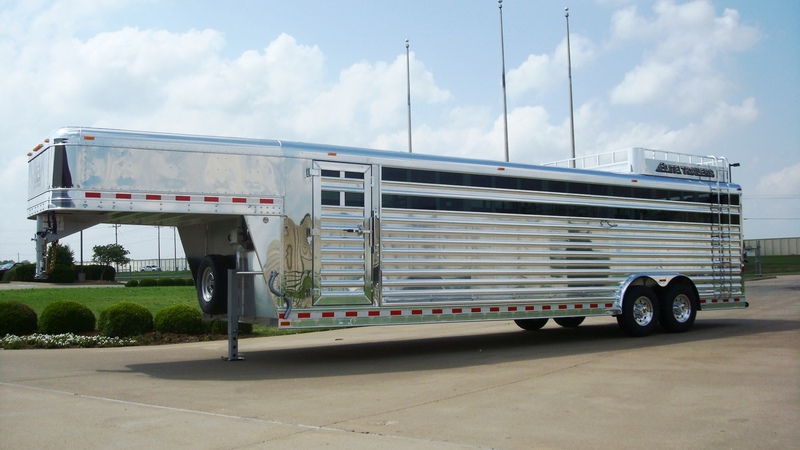 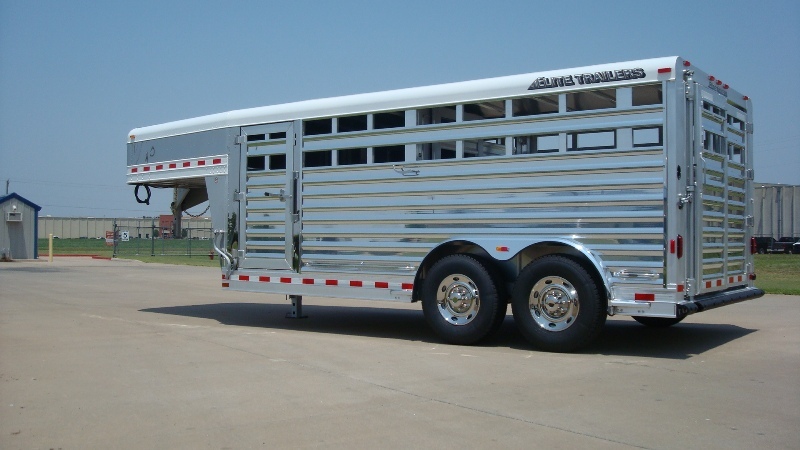 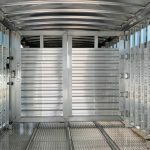 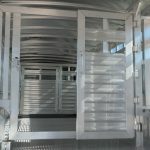 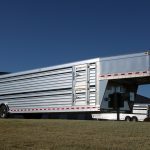 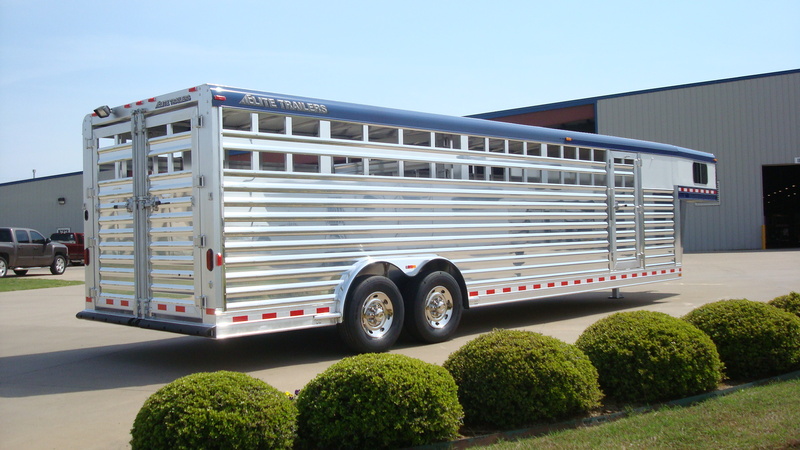 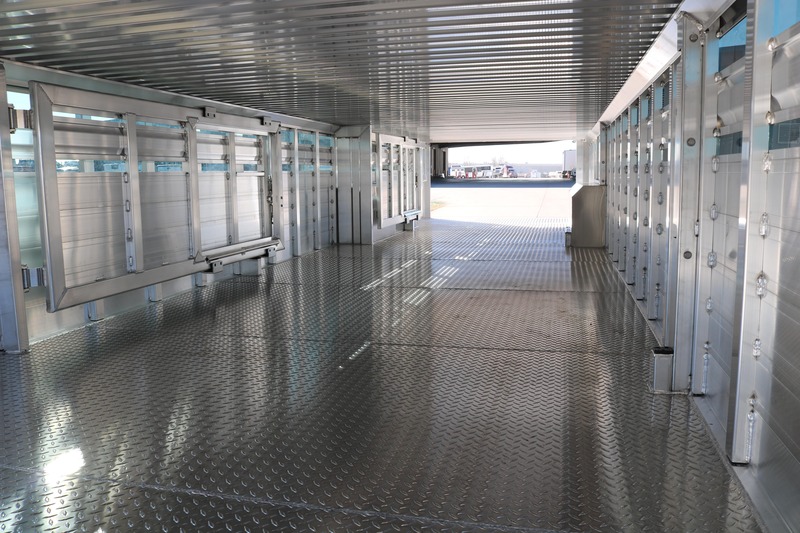 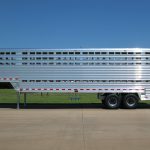 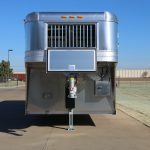 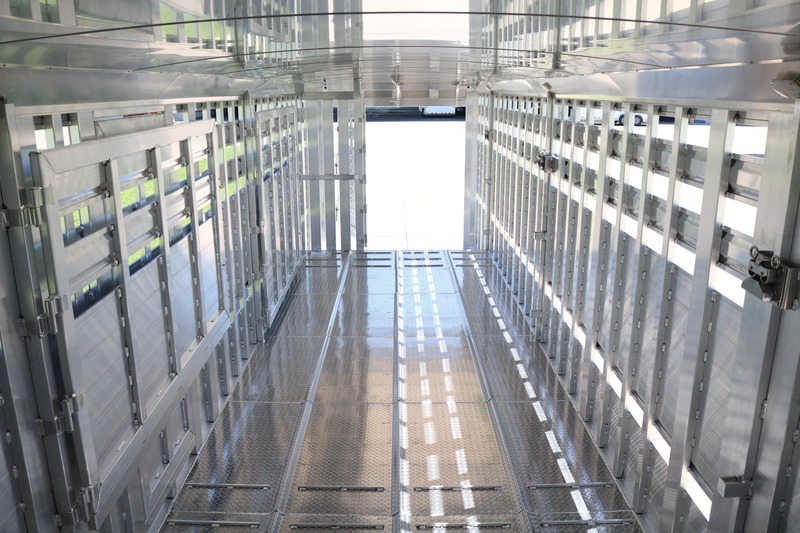 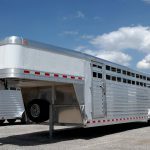 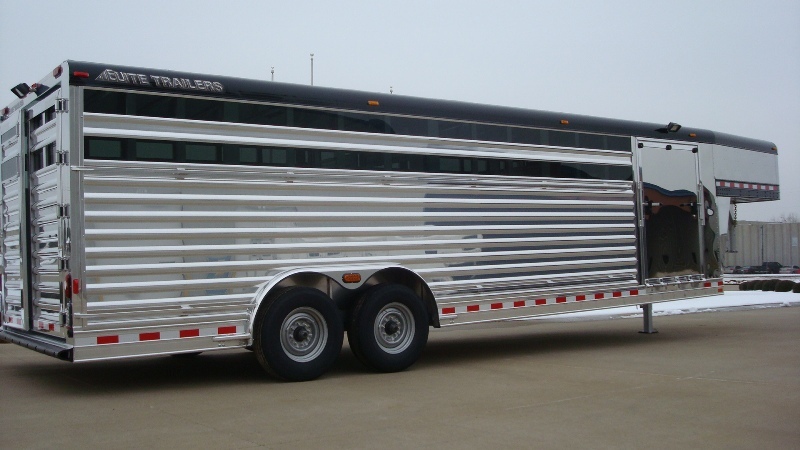 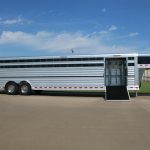 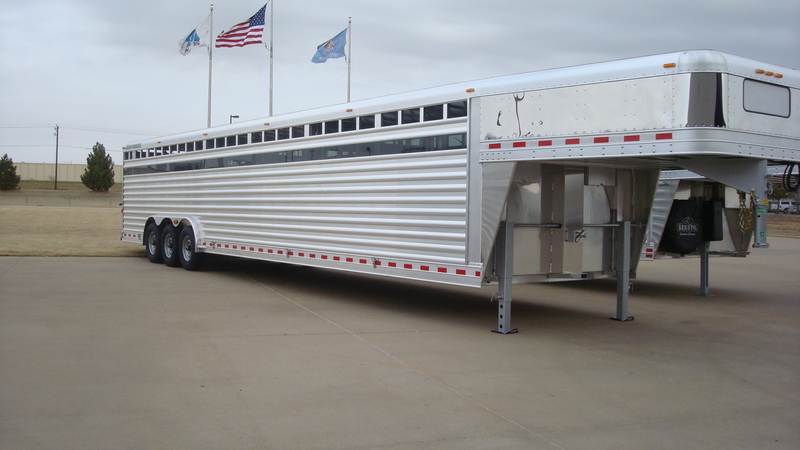 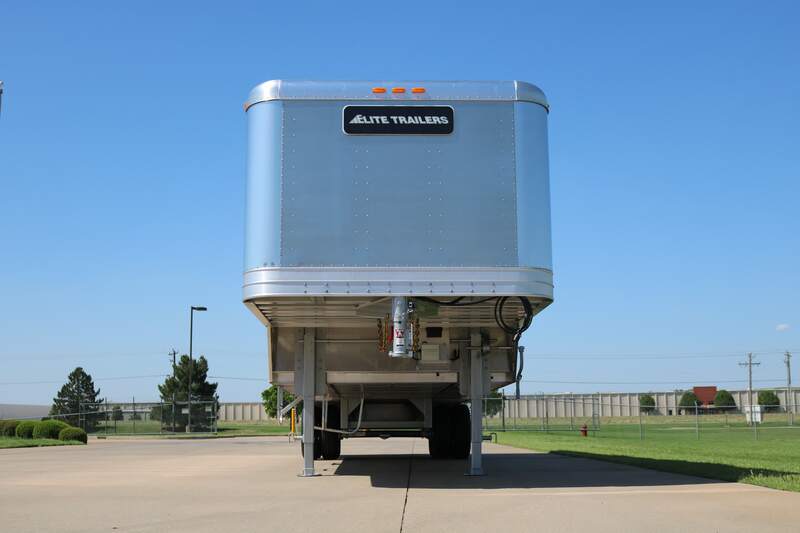 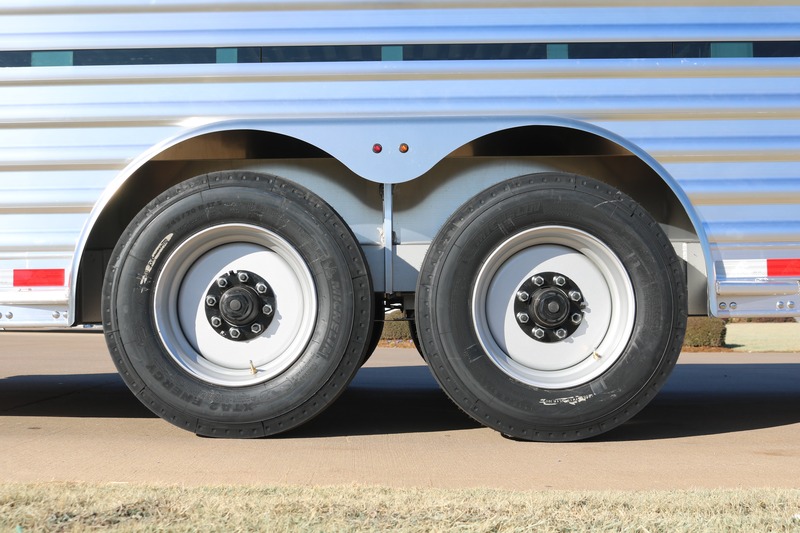 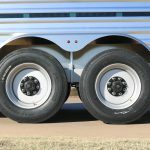 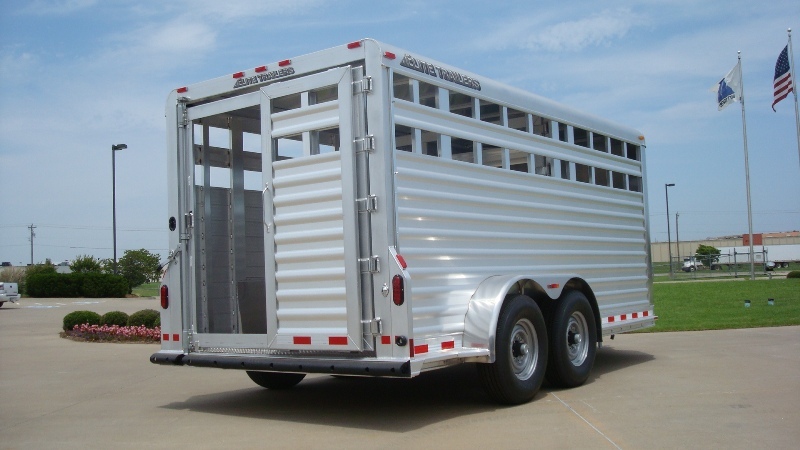 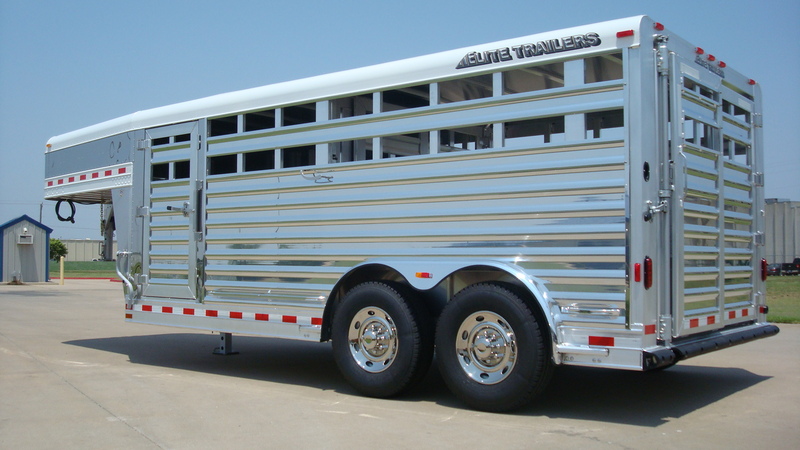 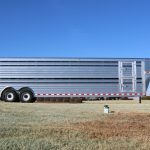 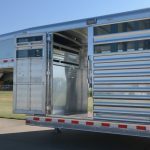 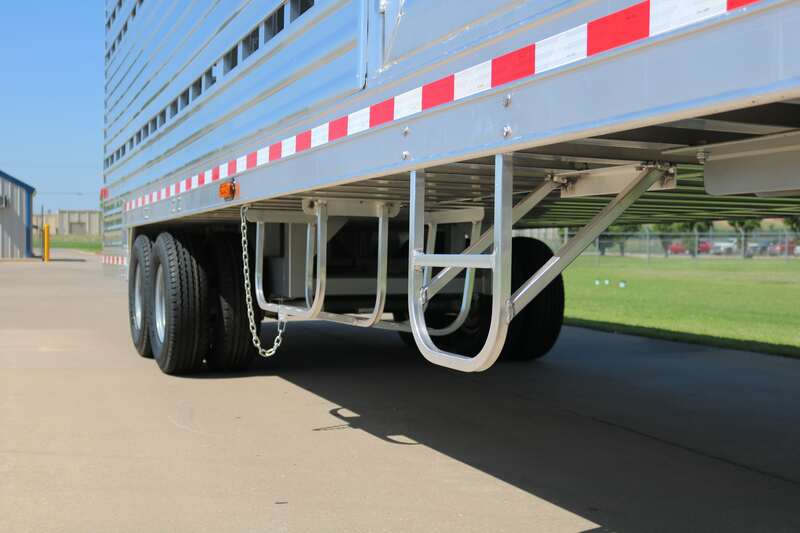 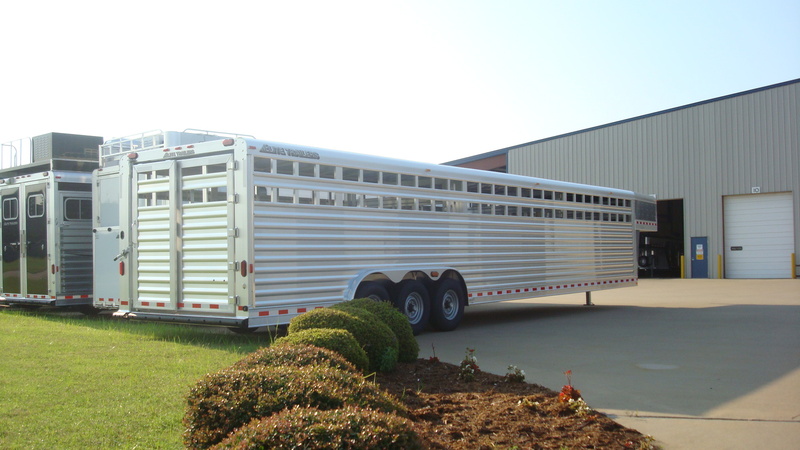 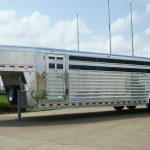 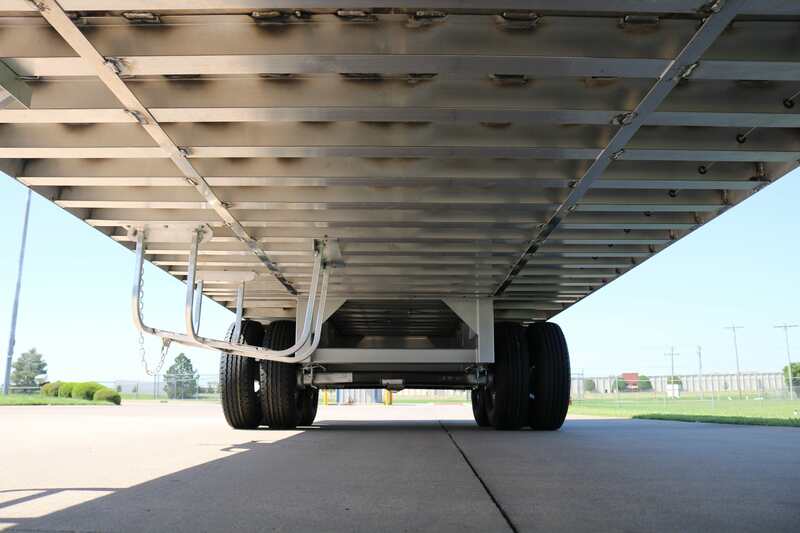 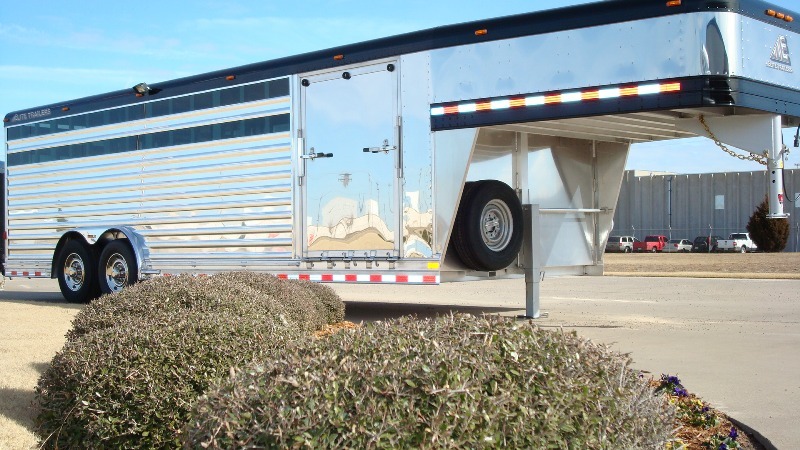 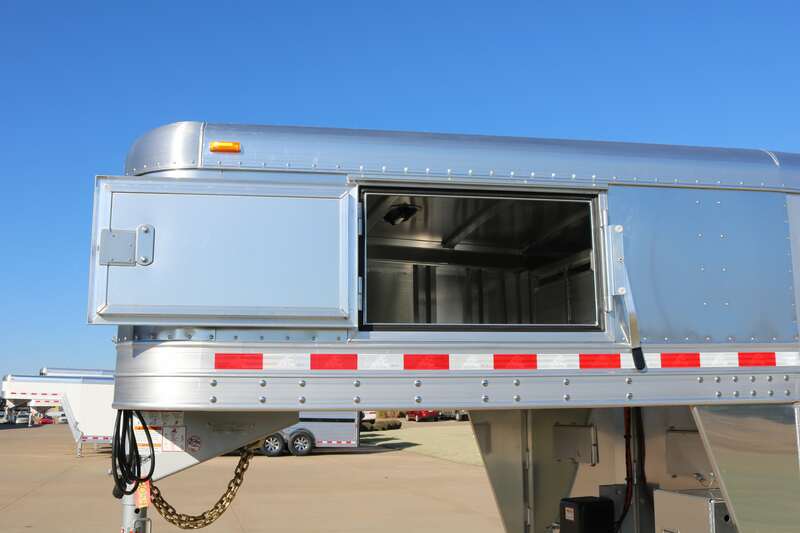 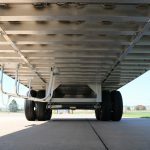 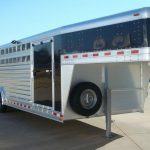 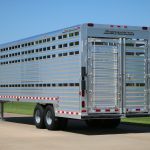 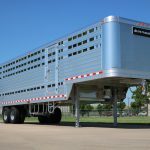 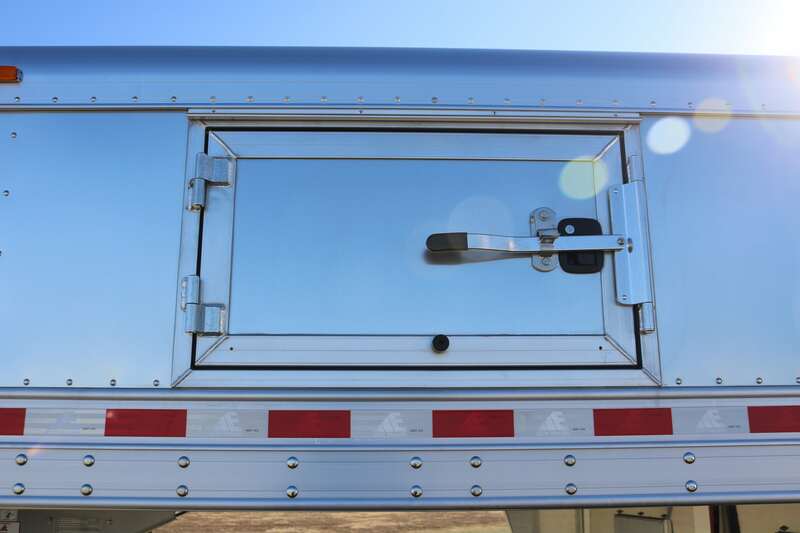 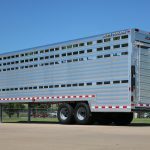 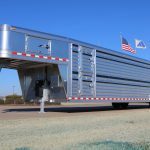 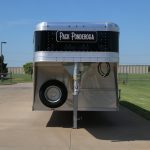 Stock trailers can range from a small bumper pull to a large double deck gooseneck. 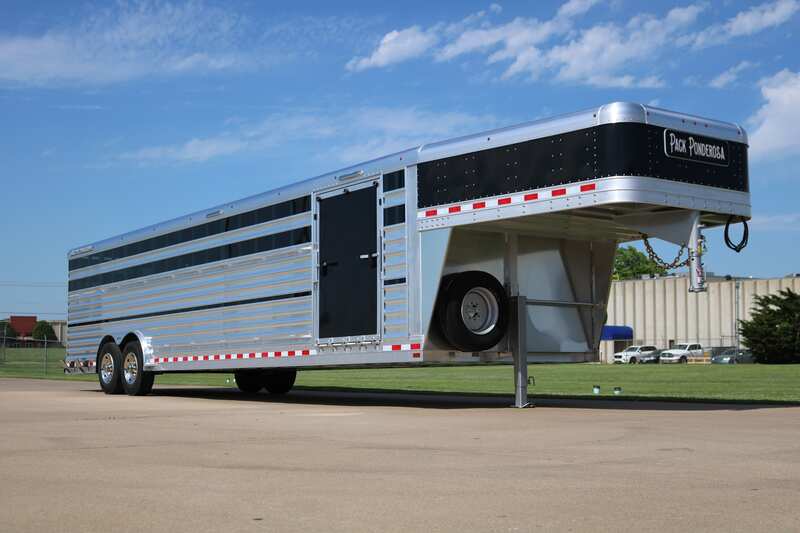 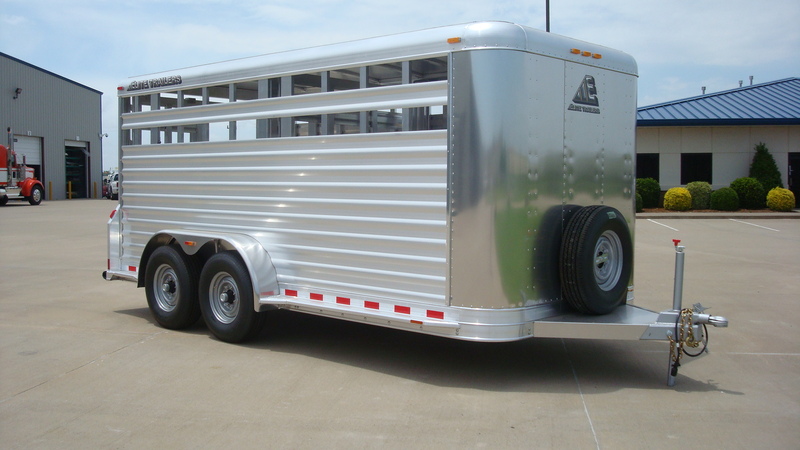 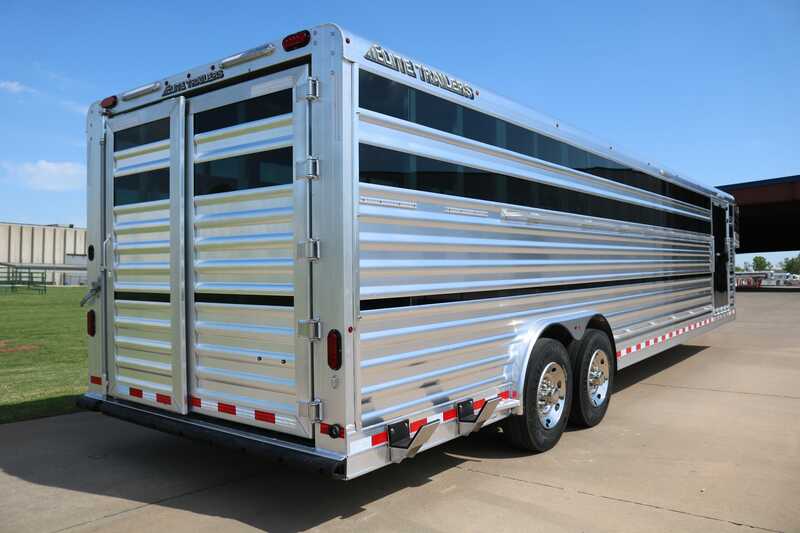 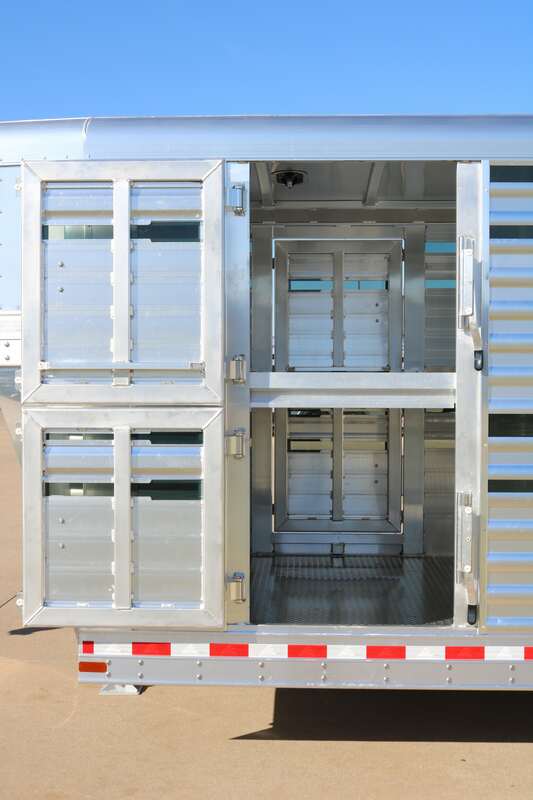 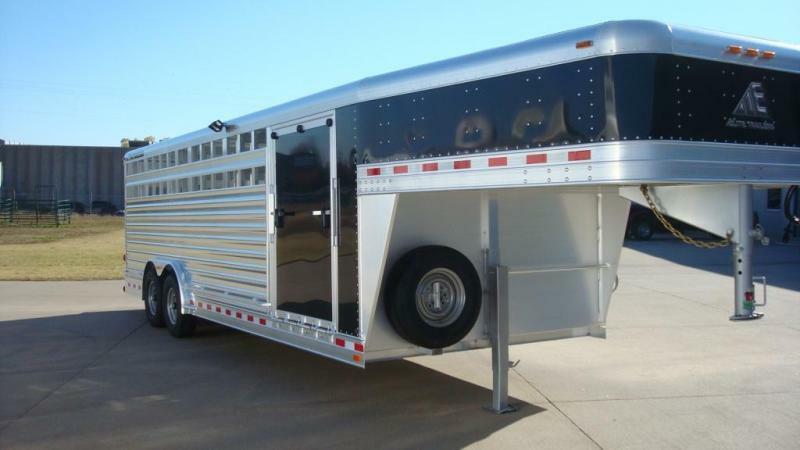 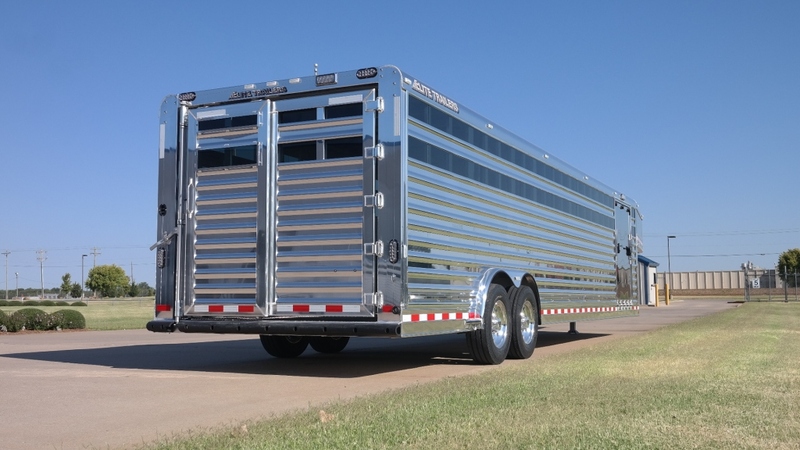 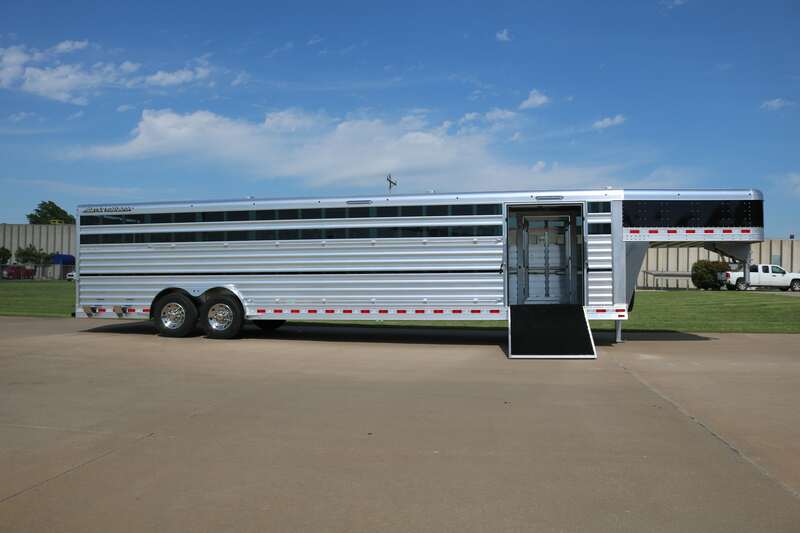 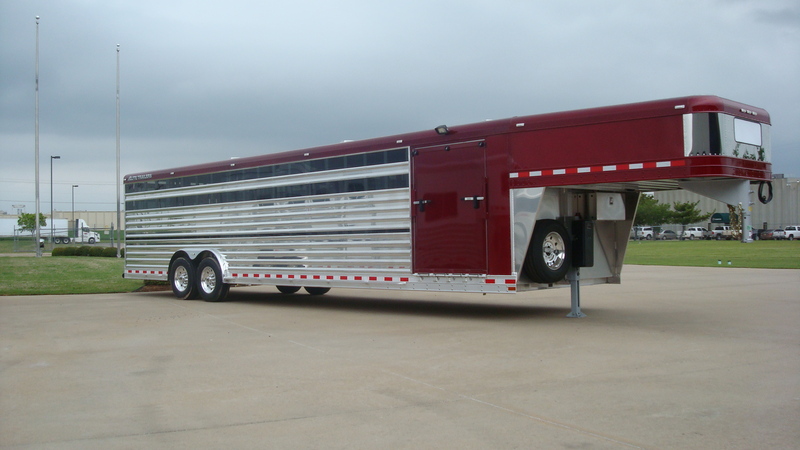 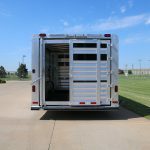 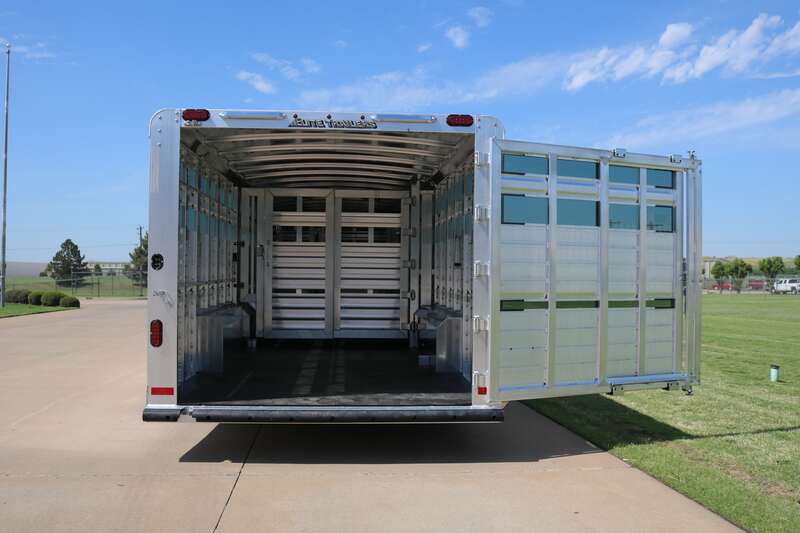 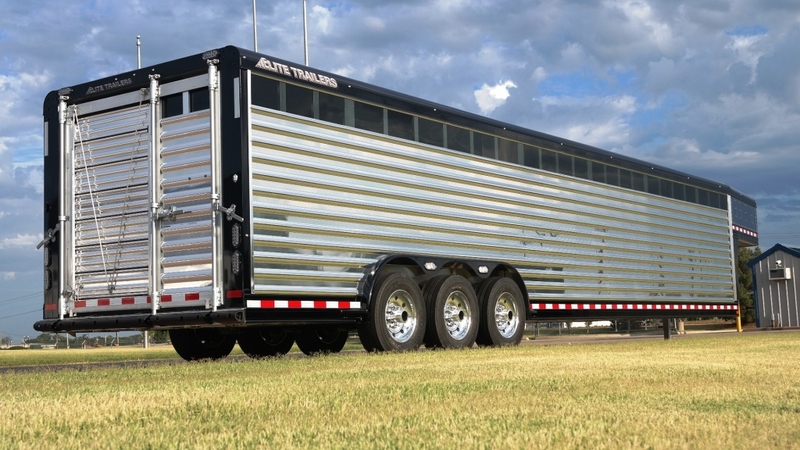 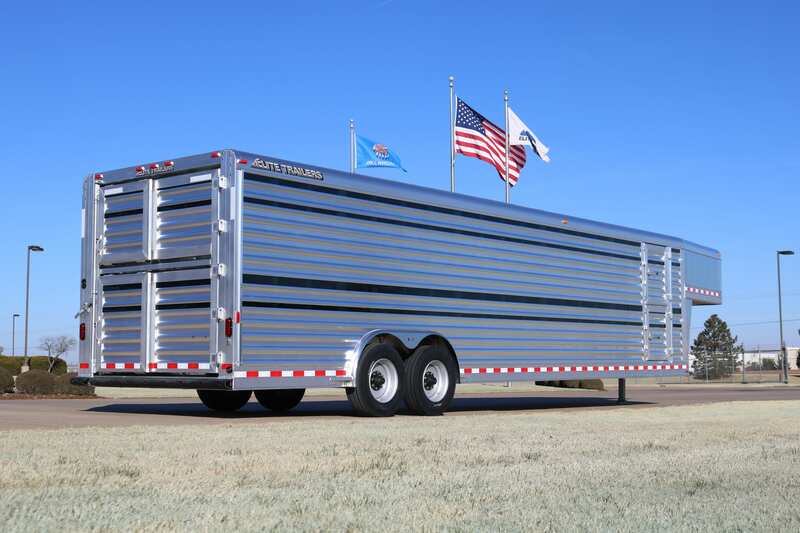 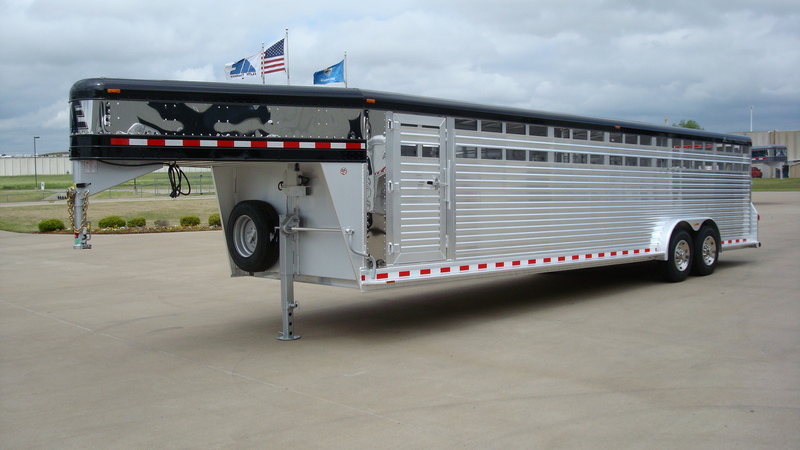 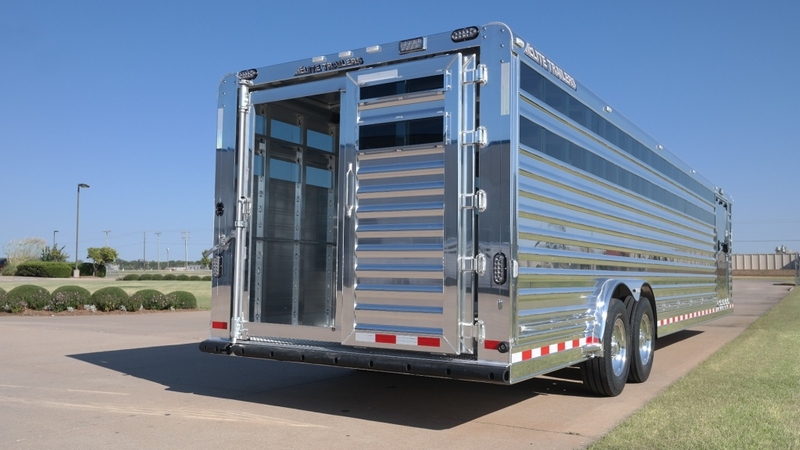 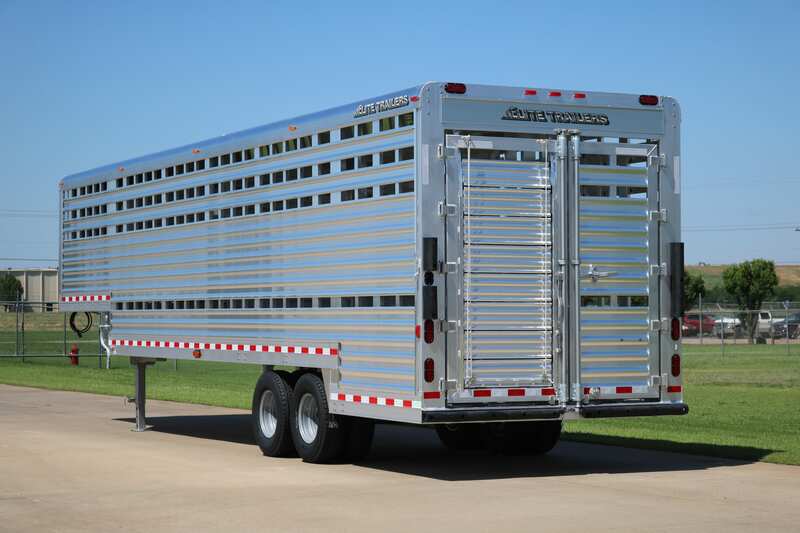 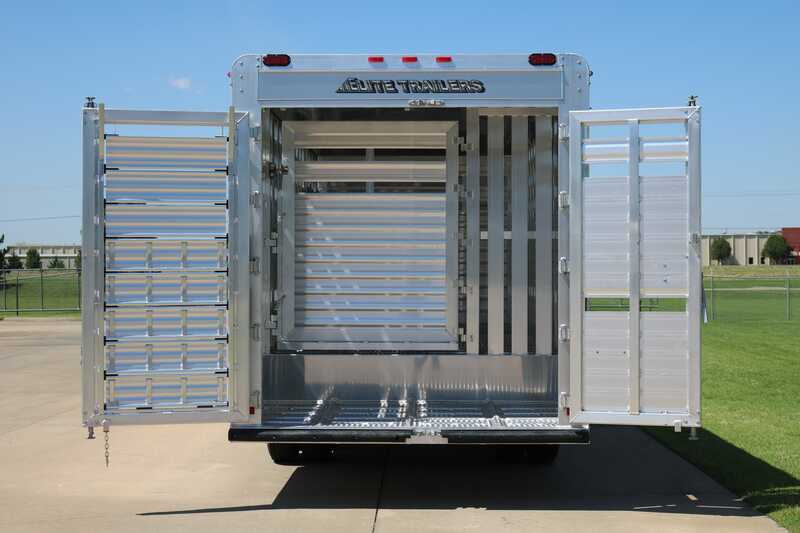 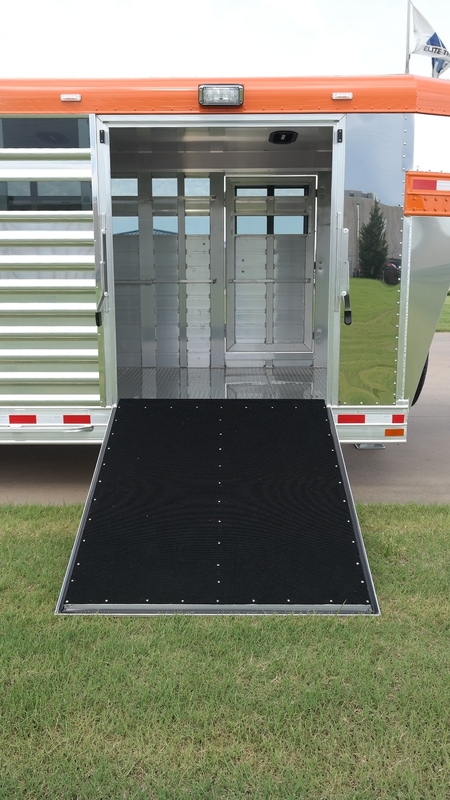 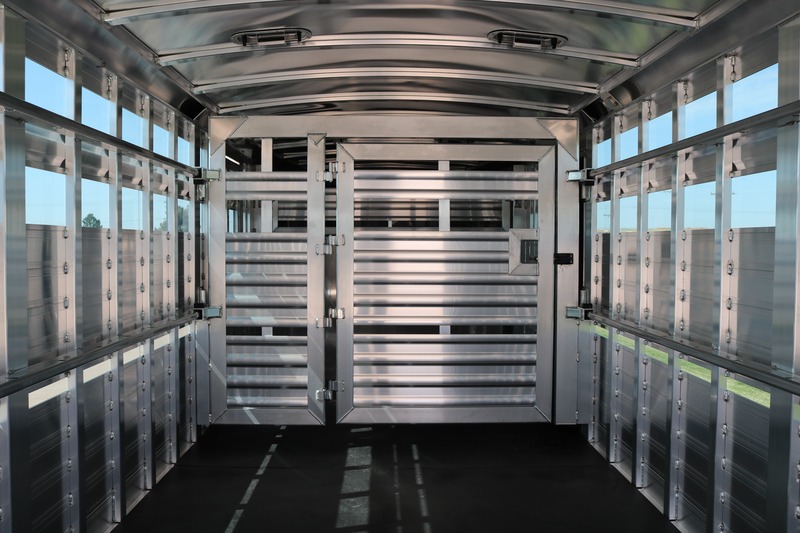 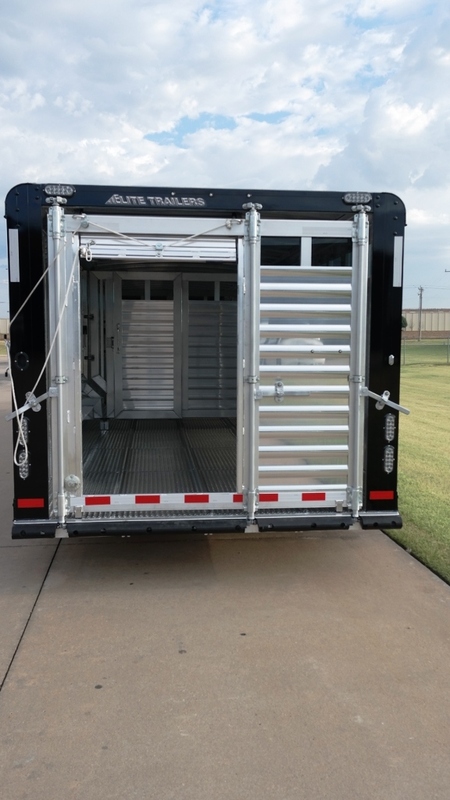 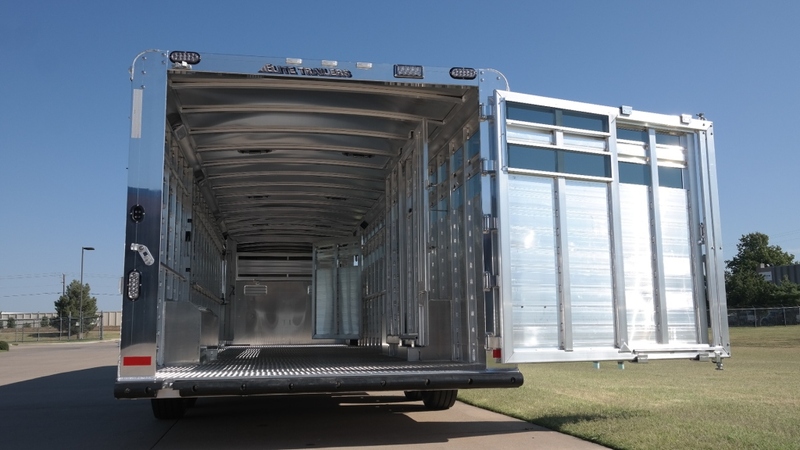 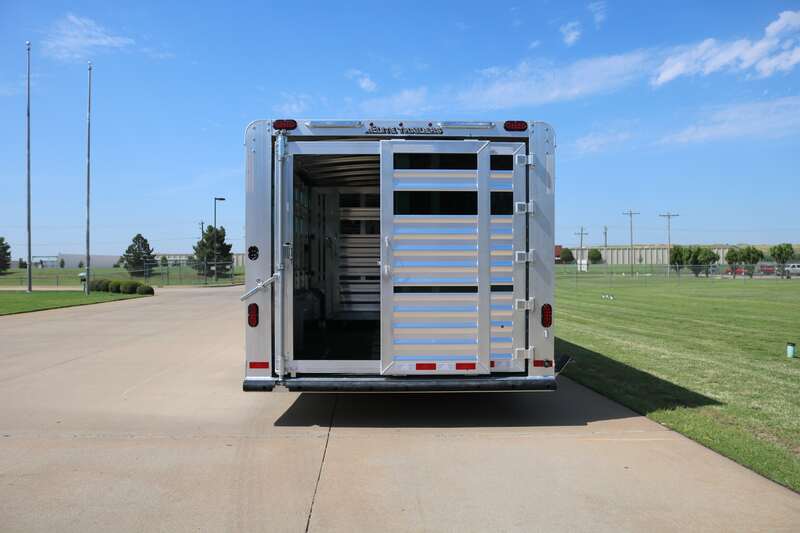 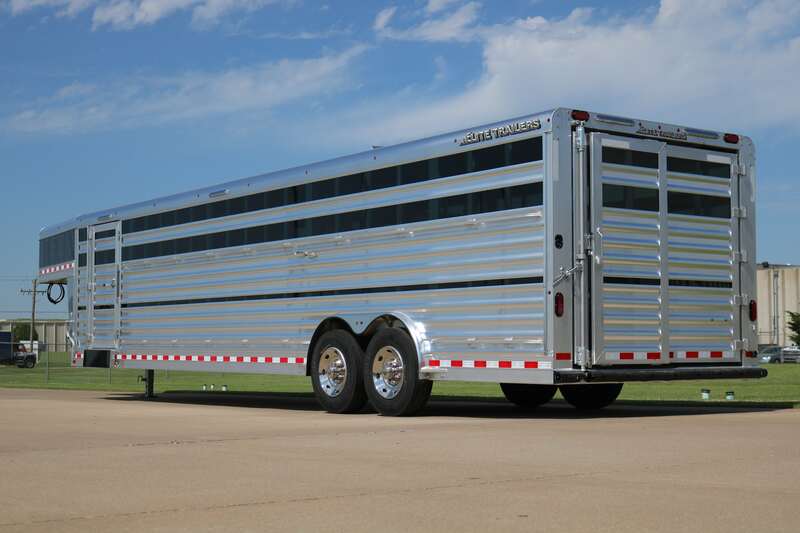 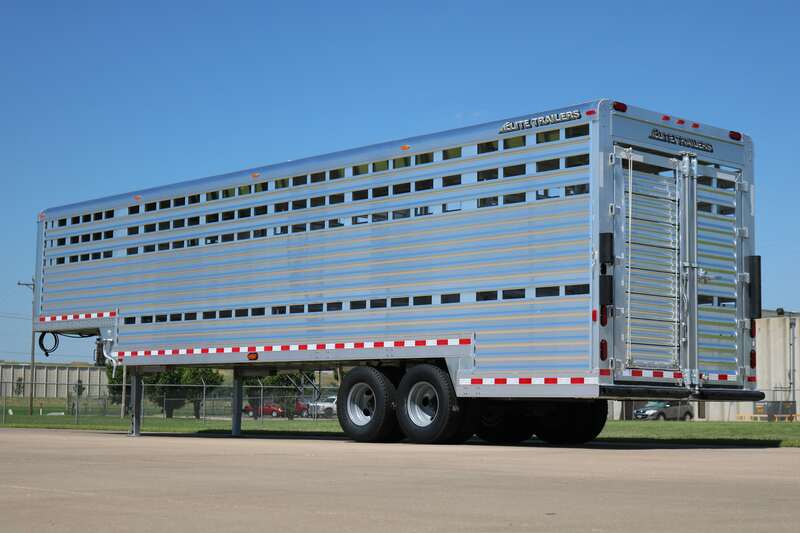 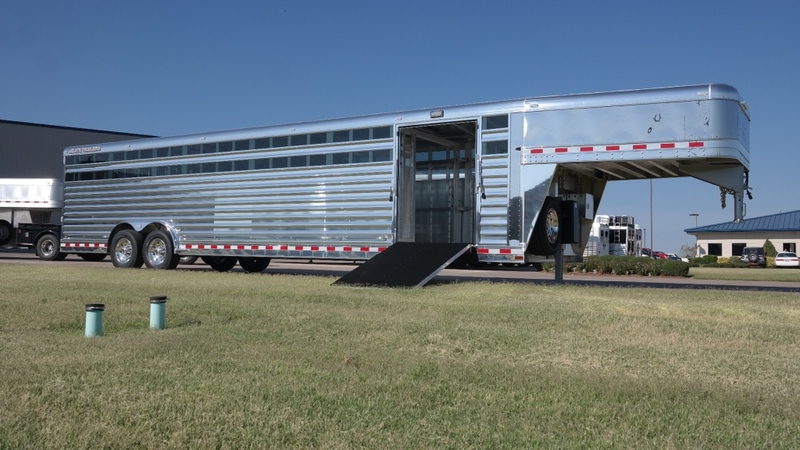 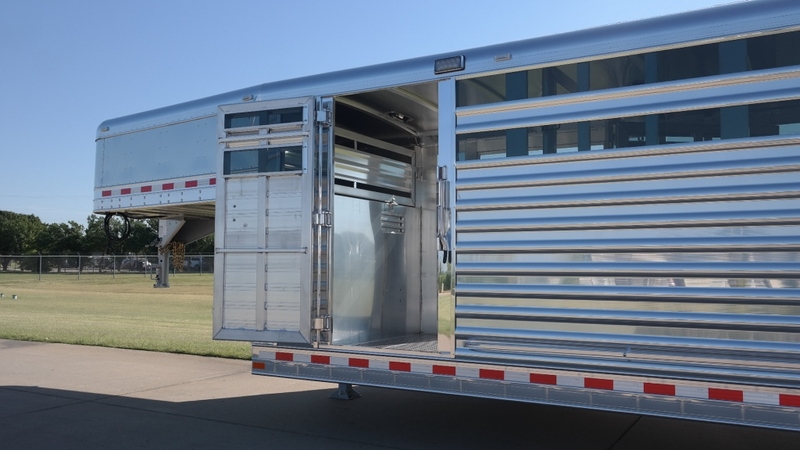 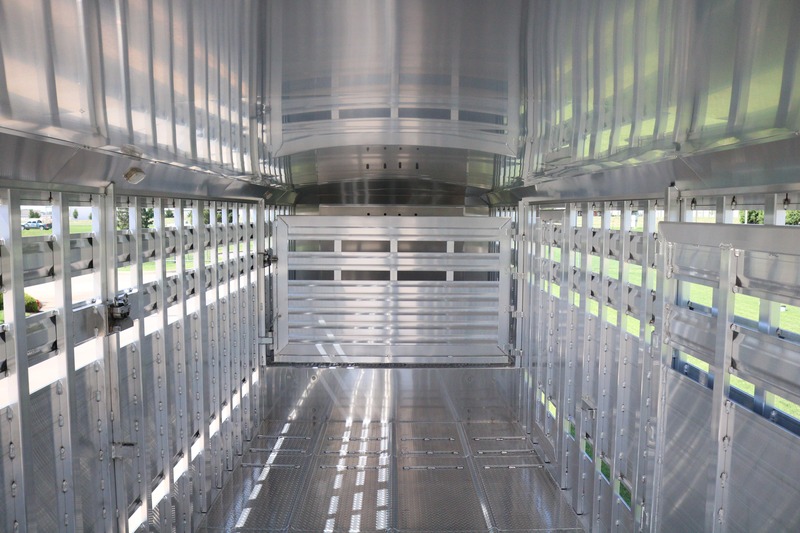 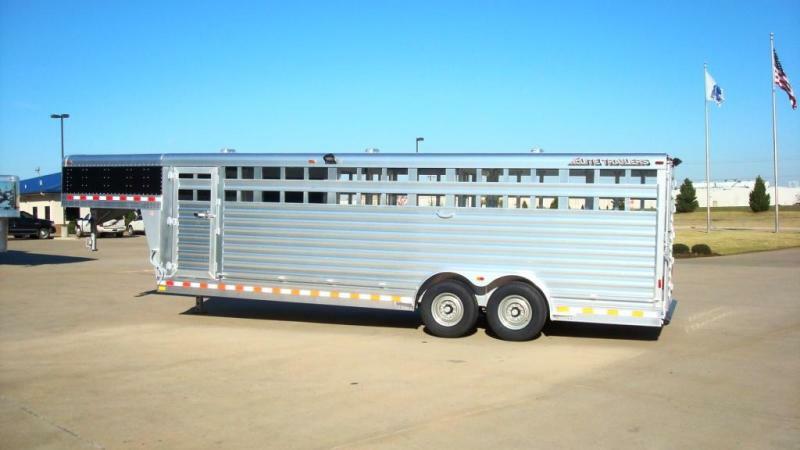 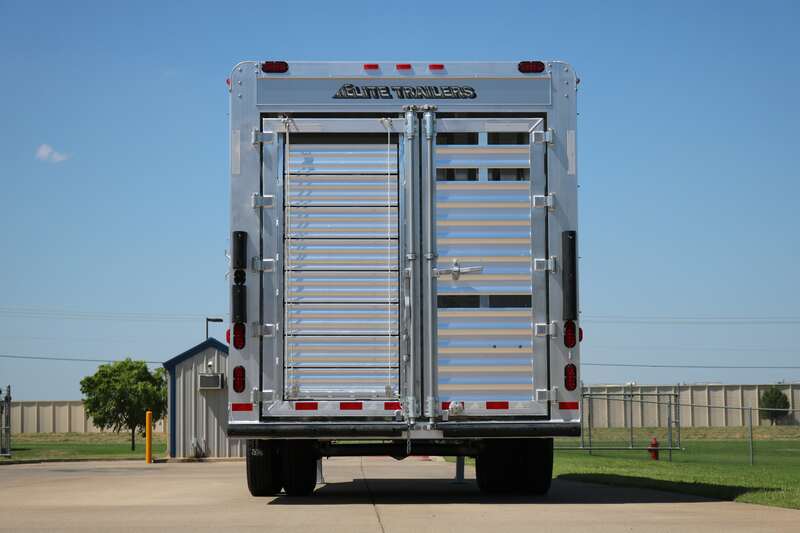 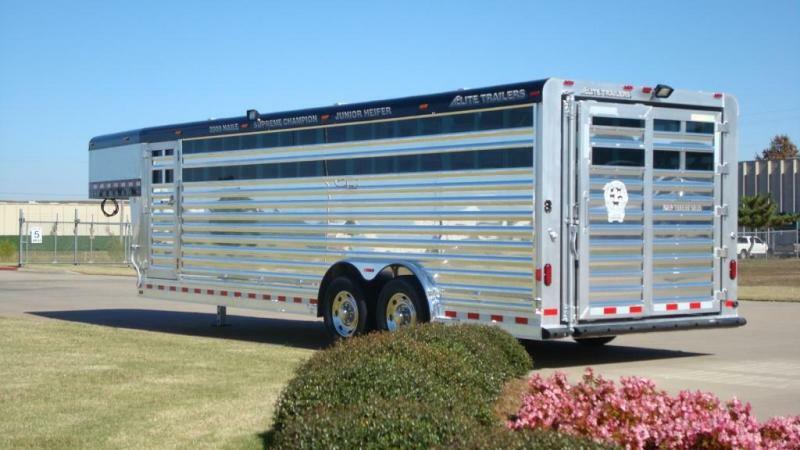 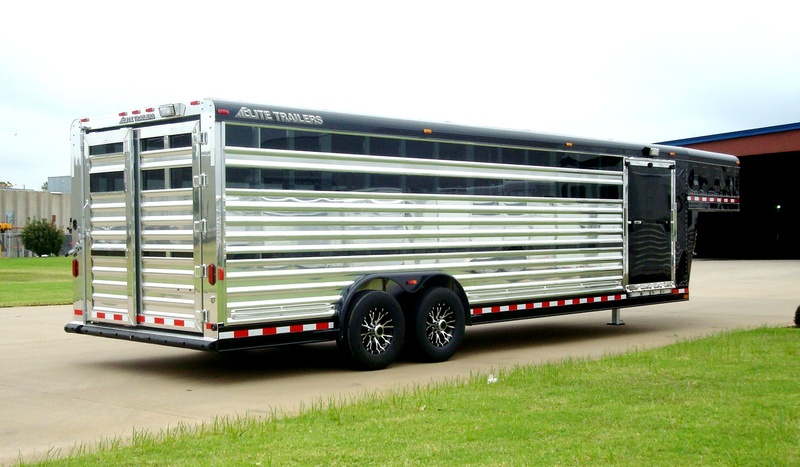 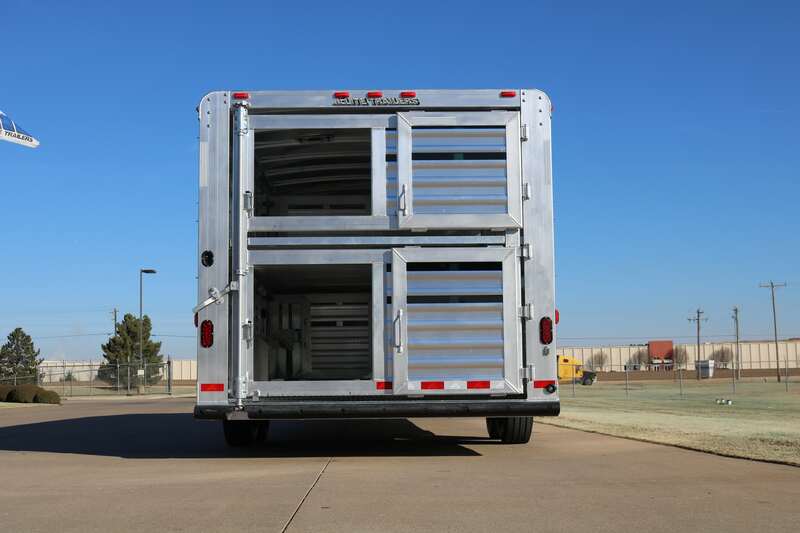 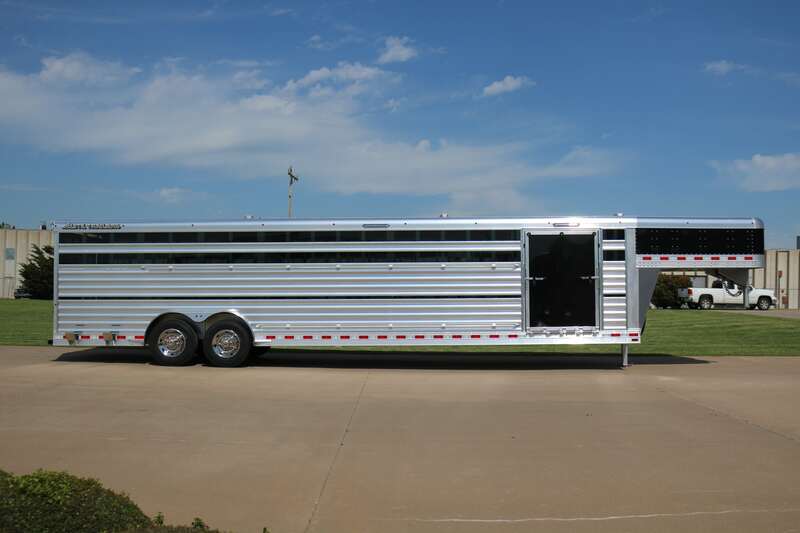 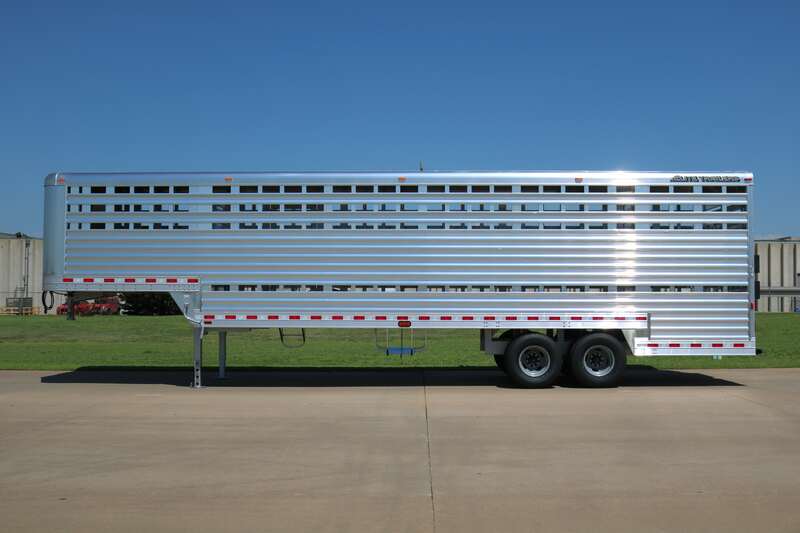 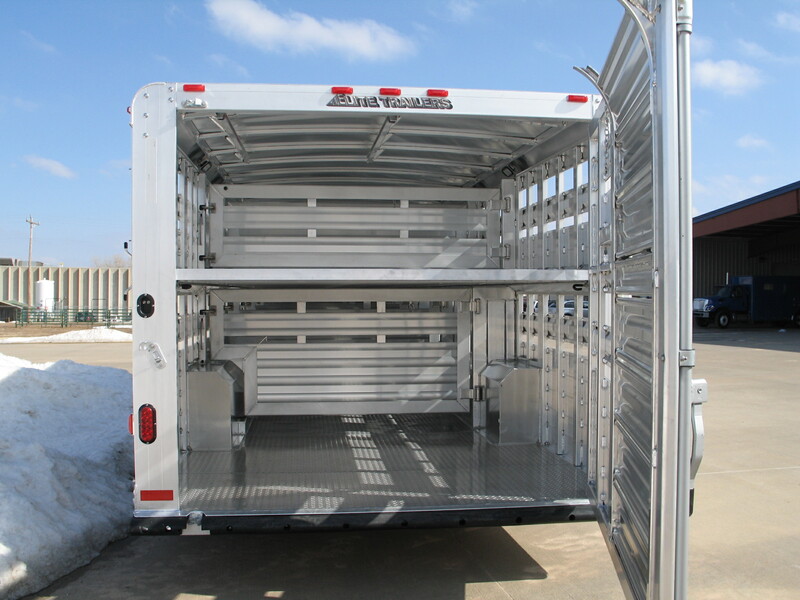 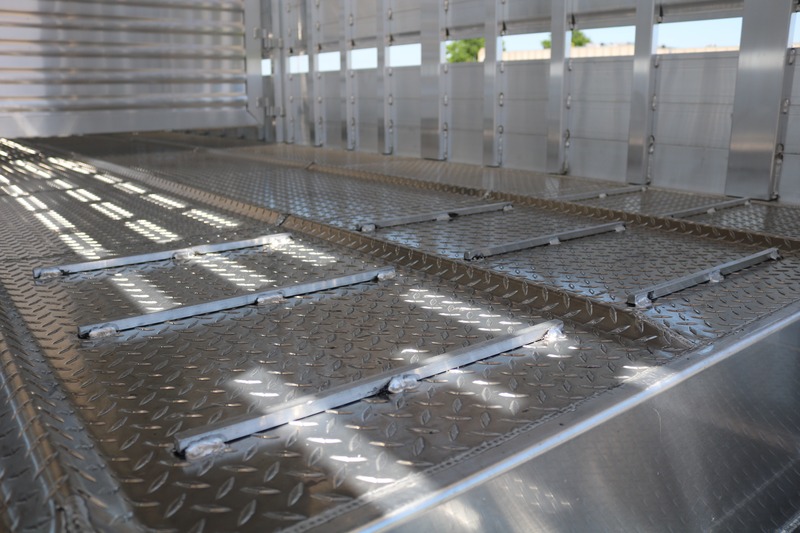 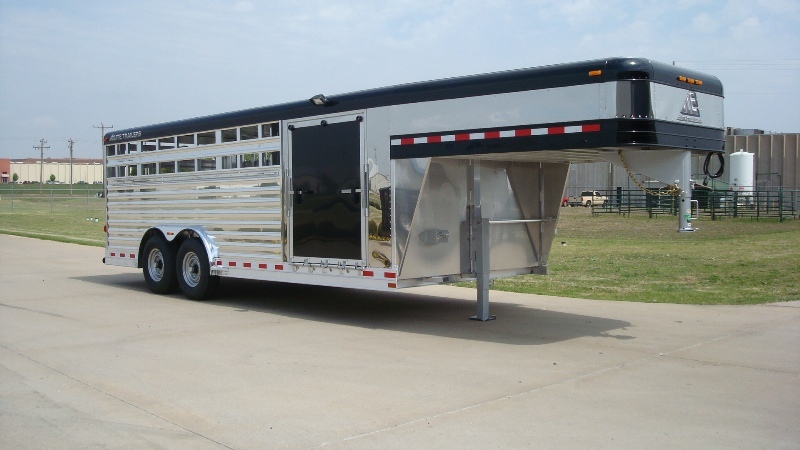 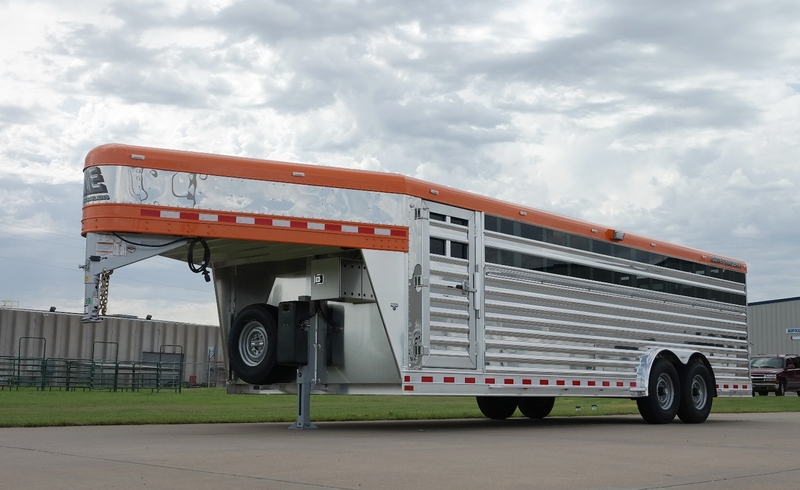 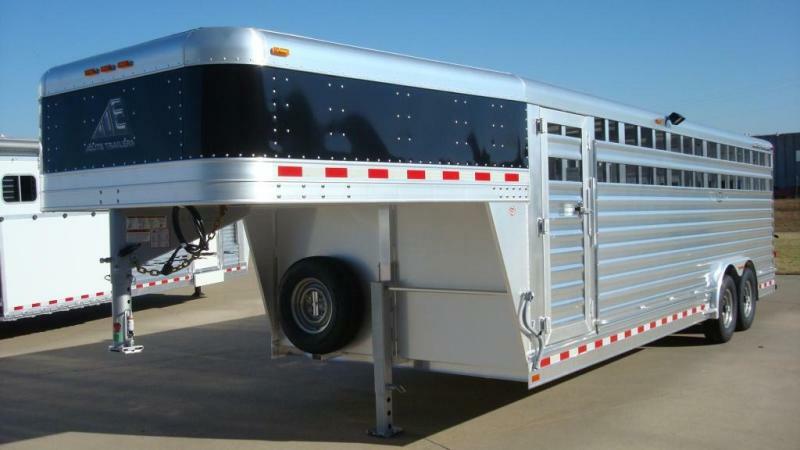 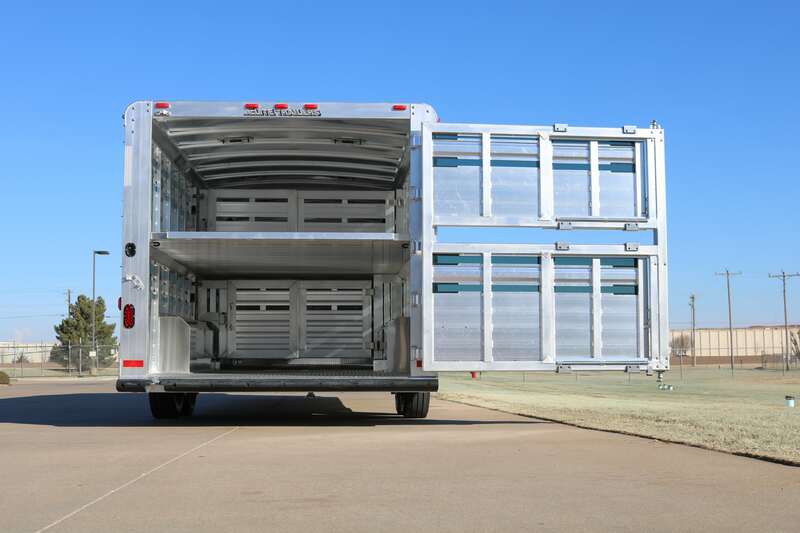 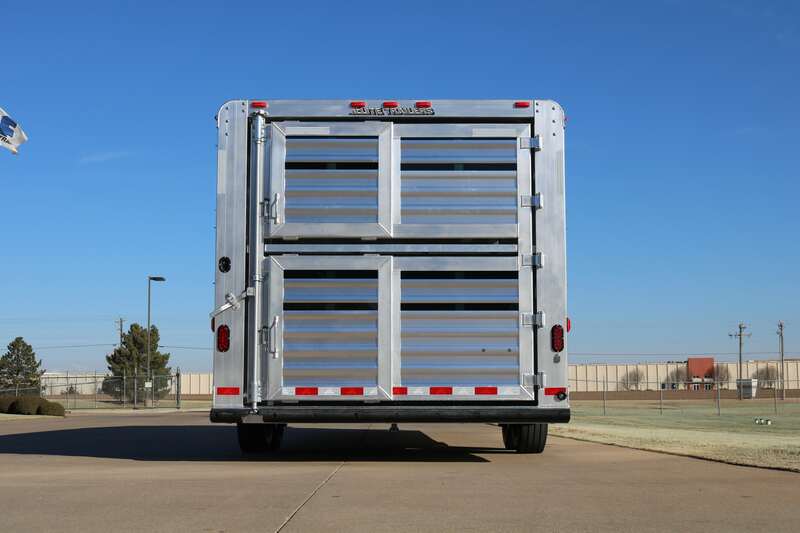 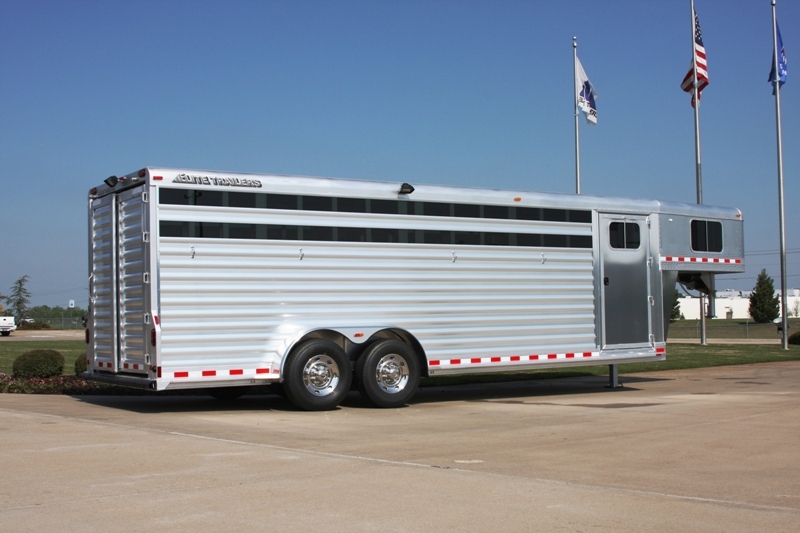 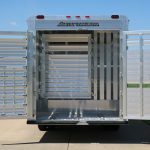 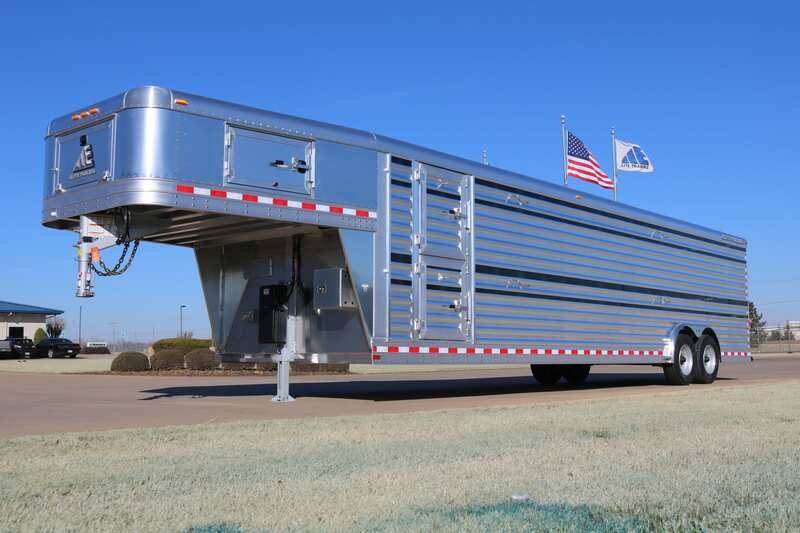 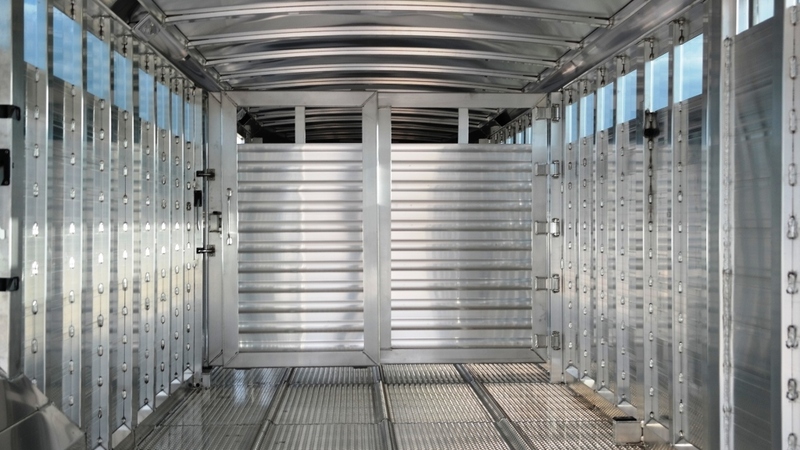 With a huge array of options to choose from, this is the most versatile stock trailer around. 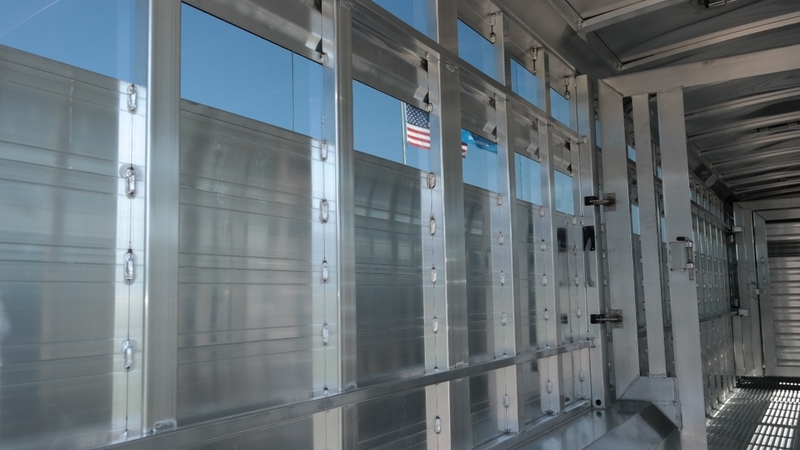 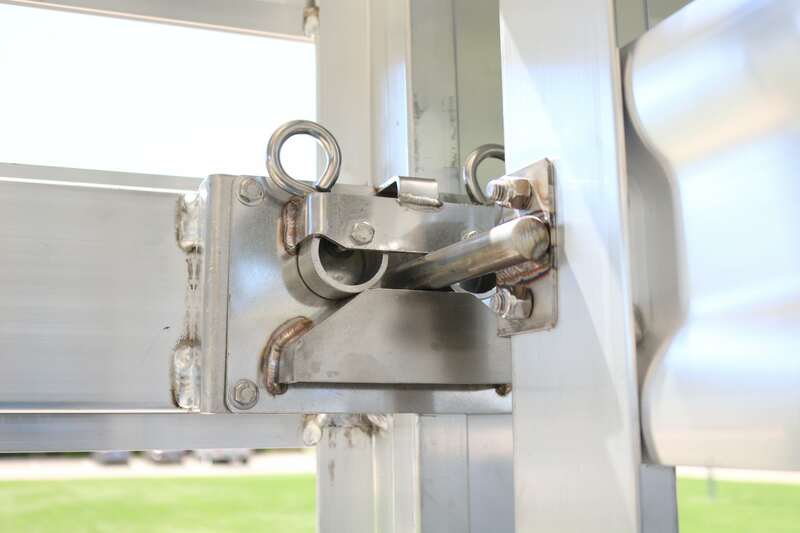 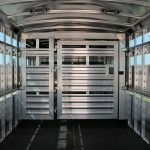 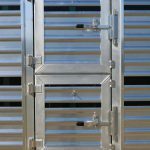 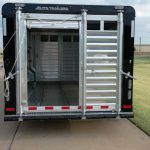 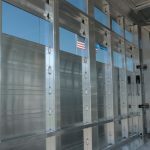 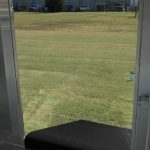 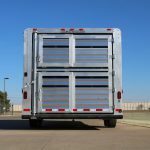 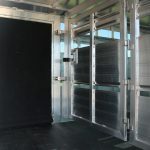 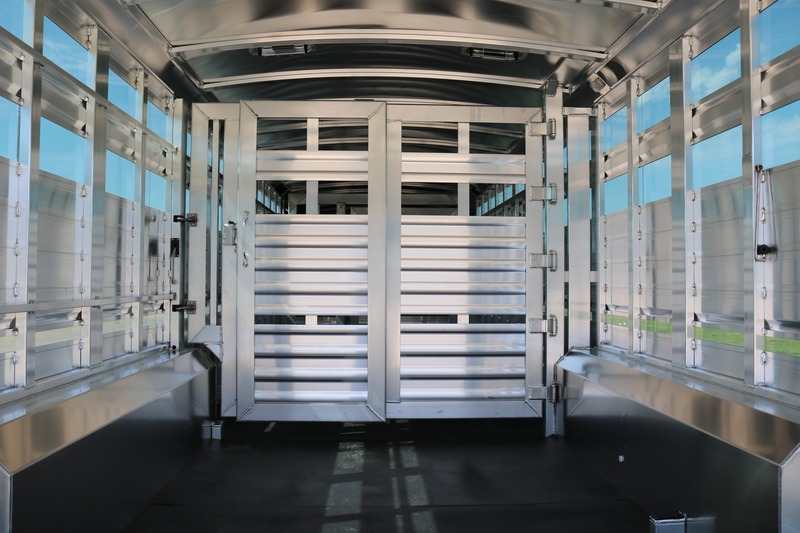 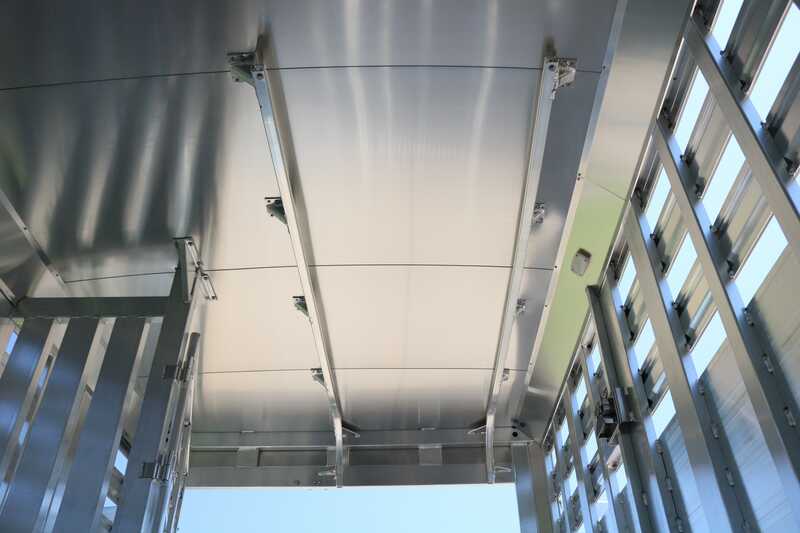 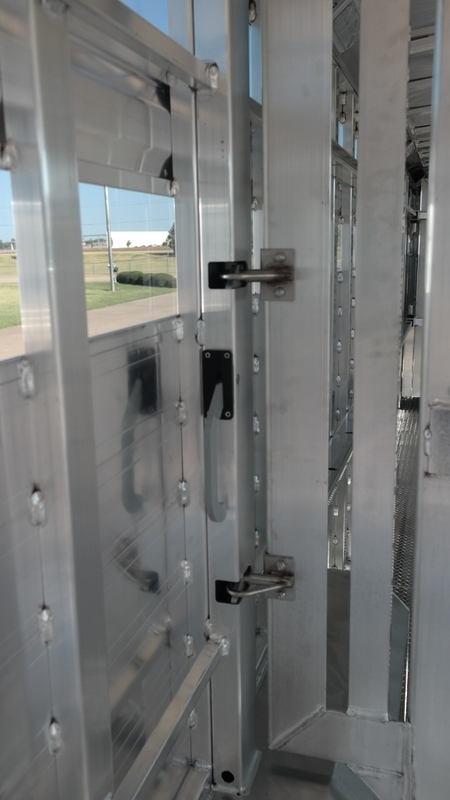 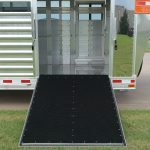 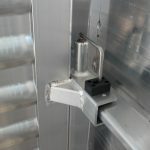 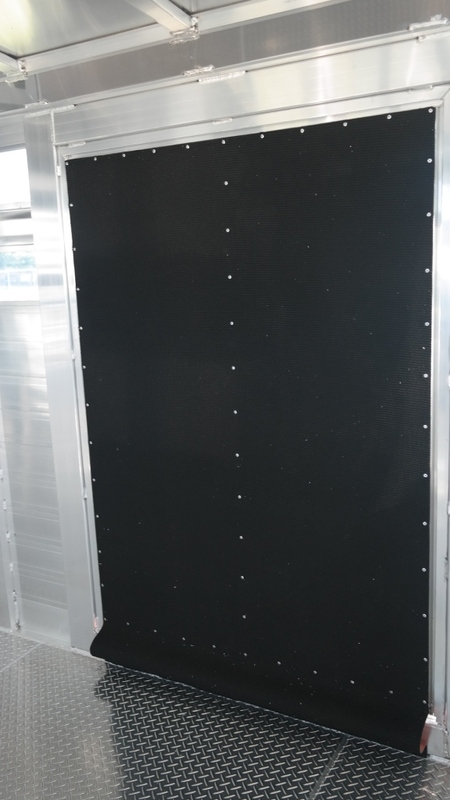 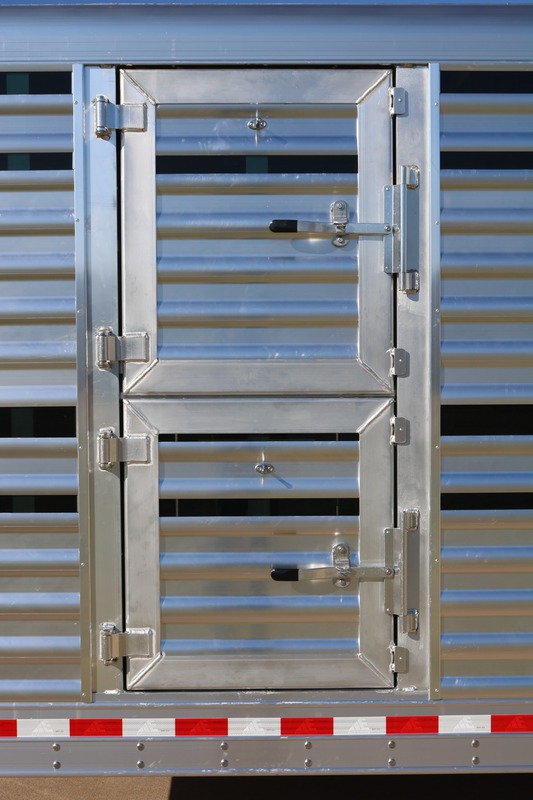 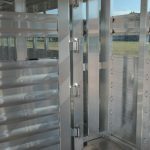 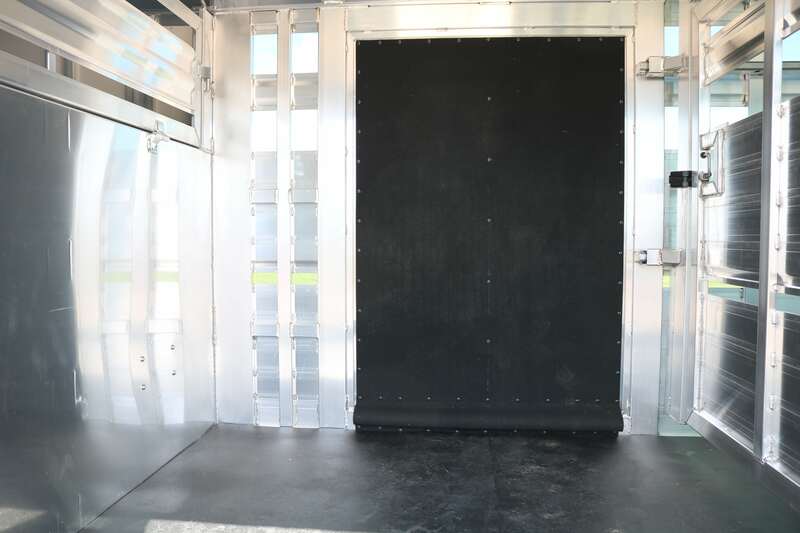 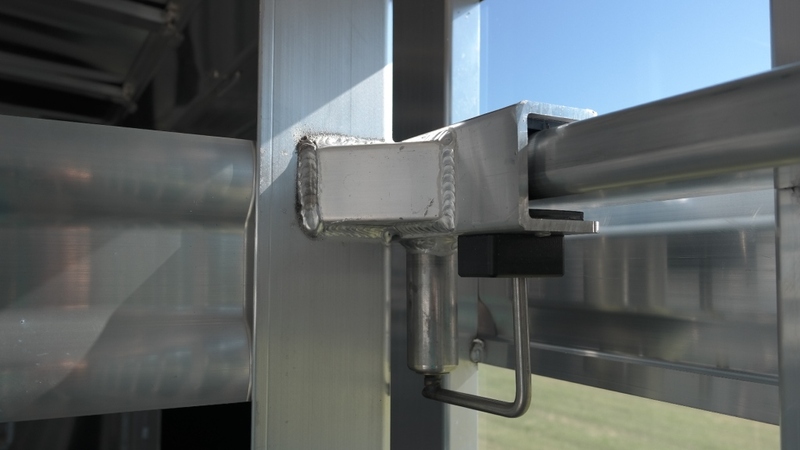 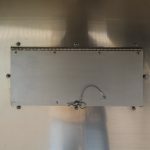 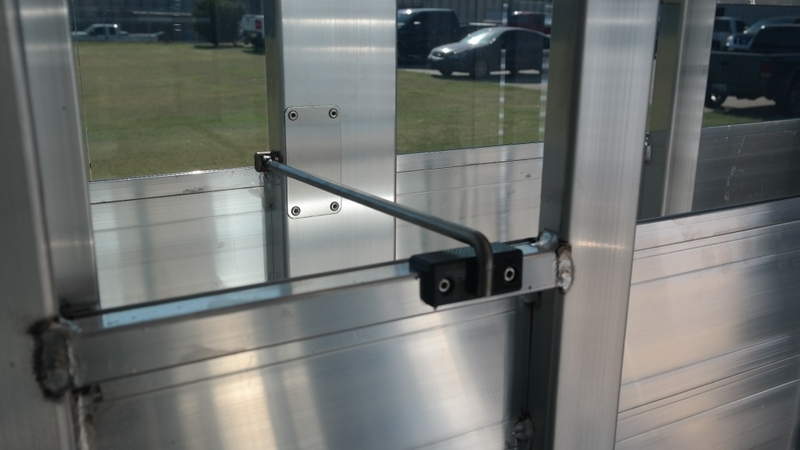 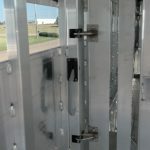 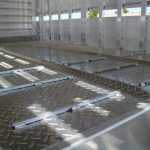 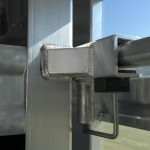 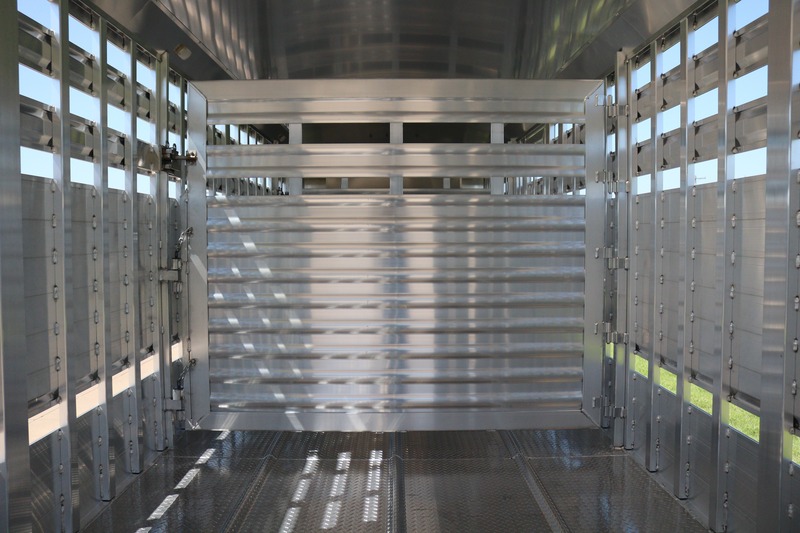 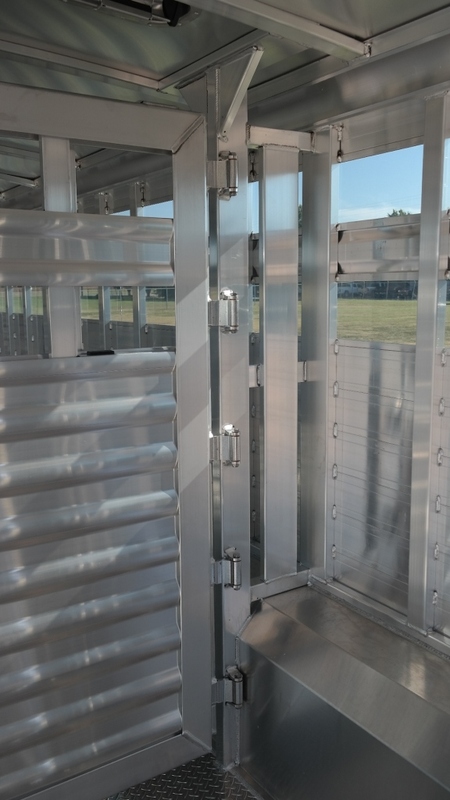 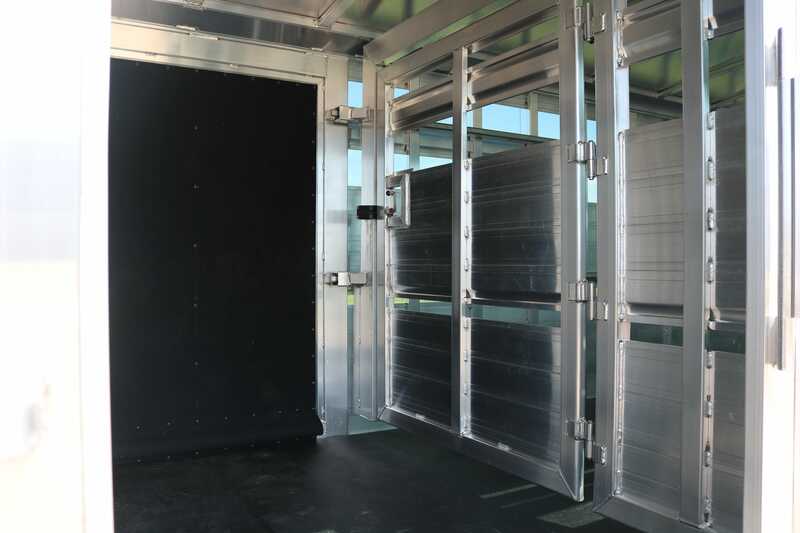 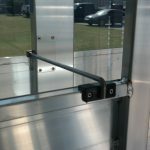 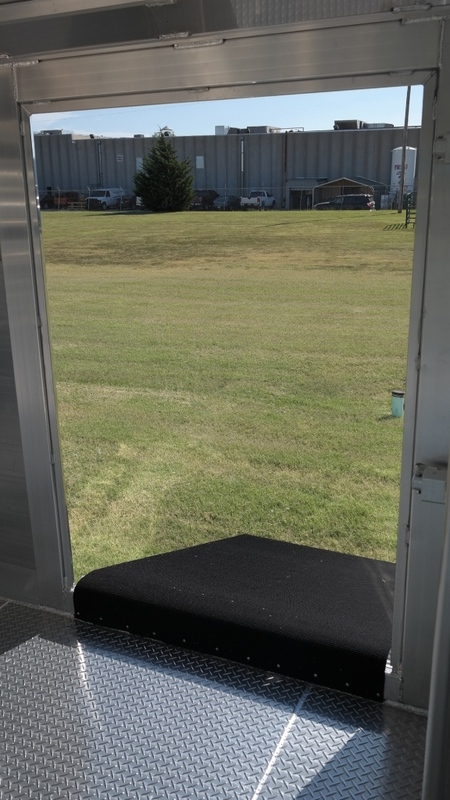 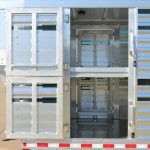 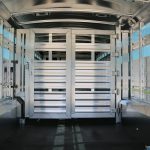 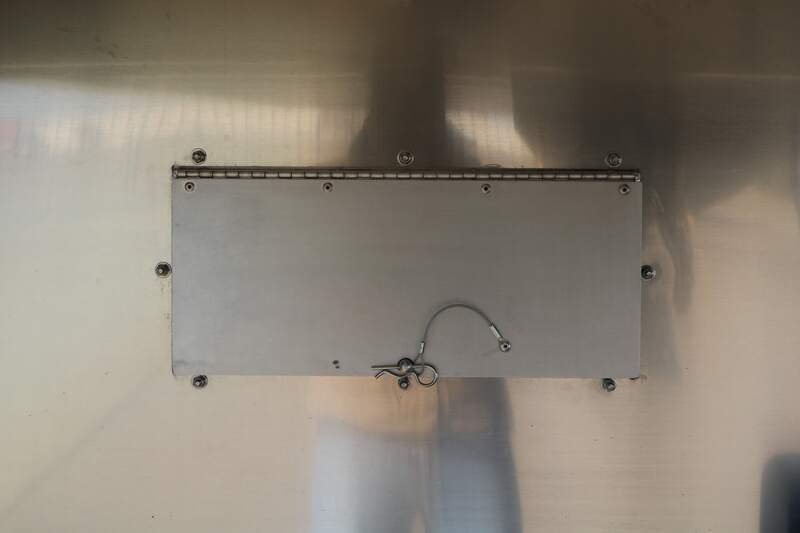 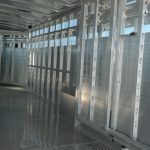 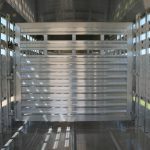 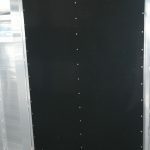 The stock area can be designed with adjustable gate rails and a side ramp for our customers that show cattle, pen systems for those that show small livestock or custom gate location for ranchers with cow/calf operations. 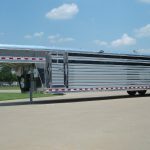 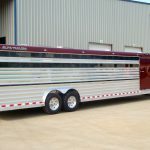 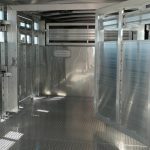 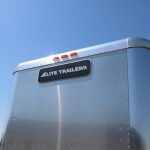 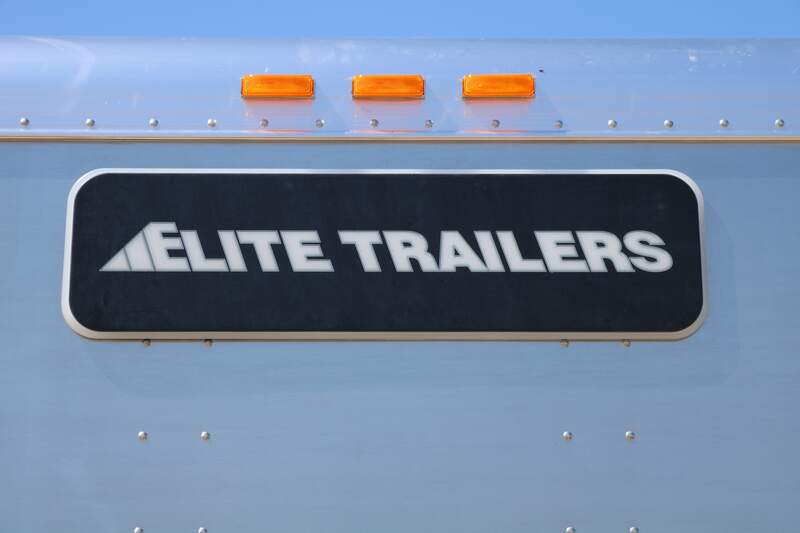 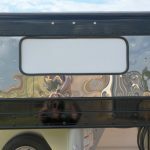 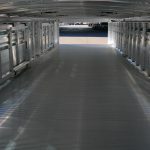 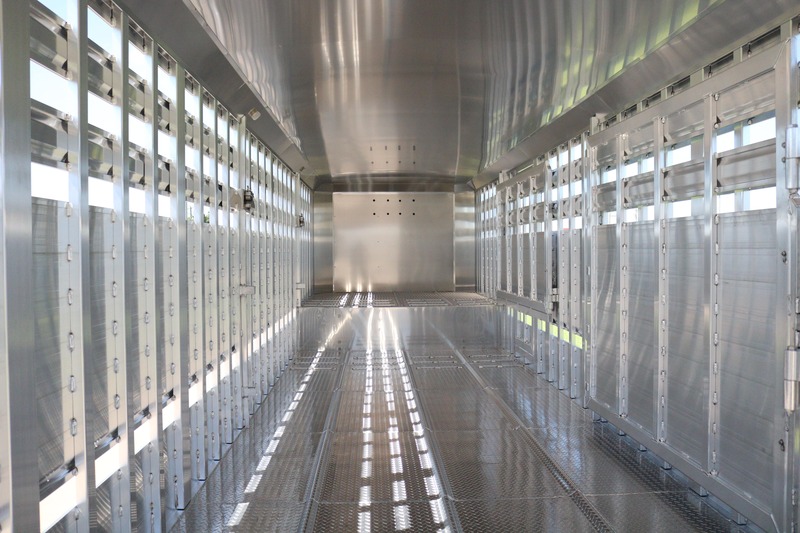 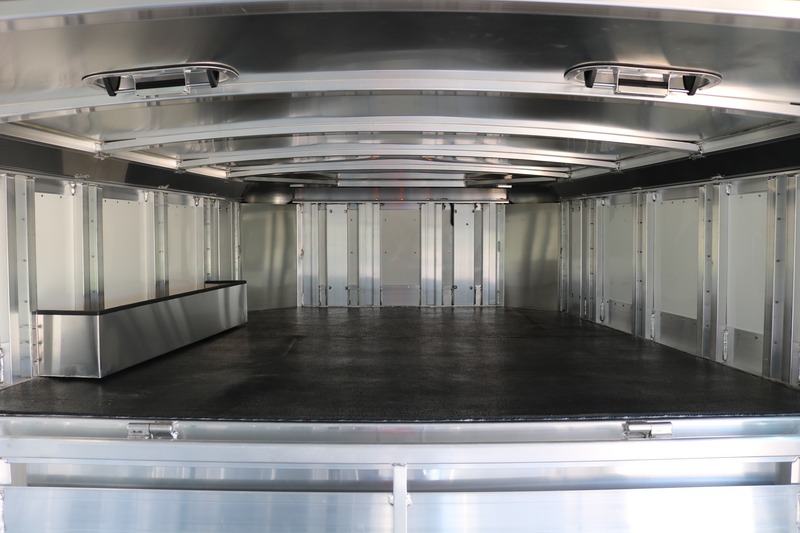 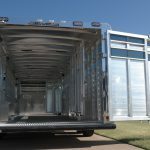 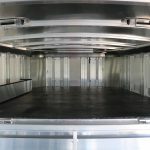 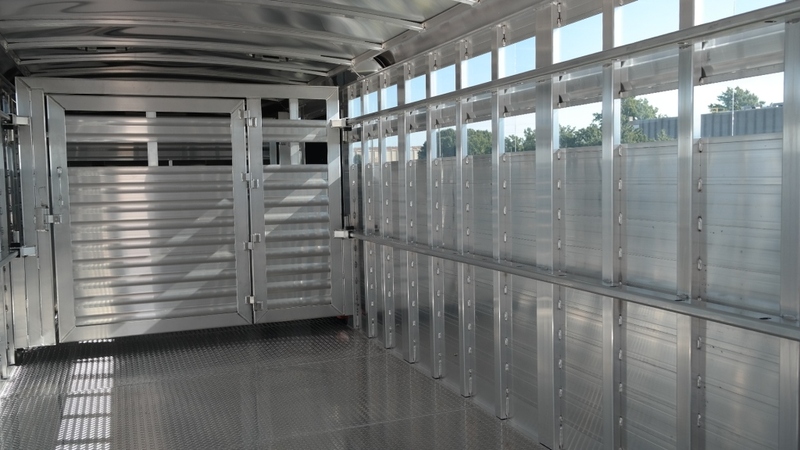 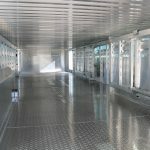 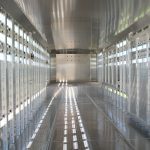 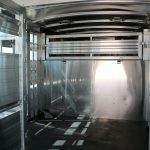 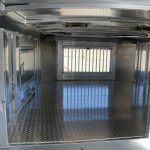 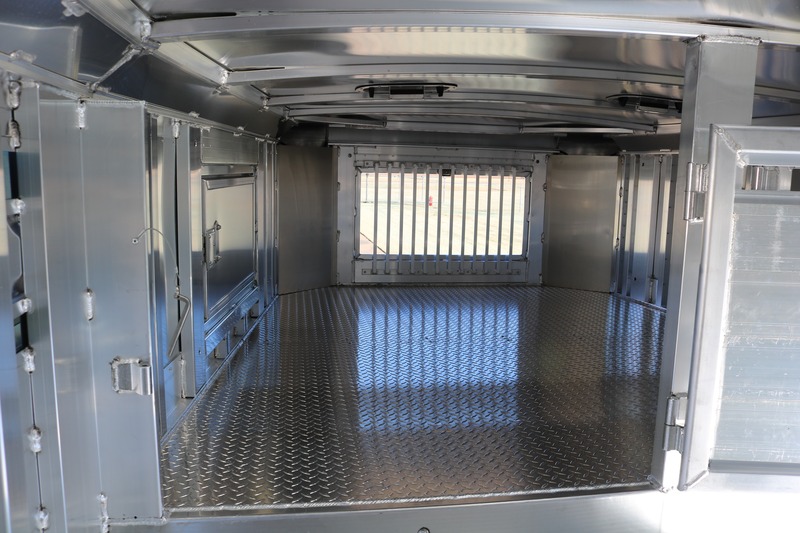 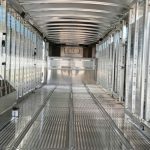 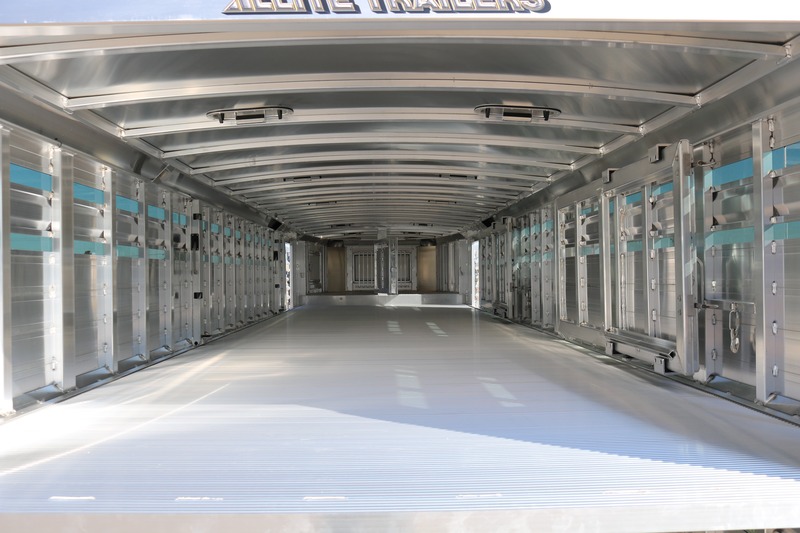 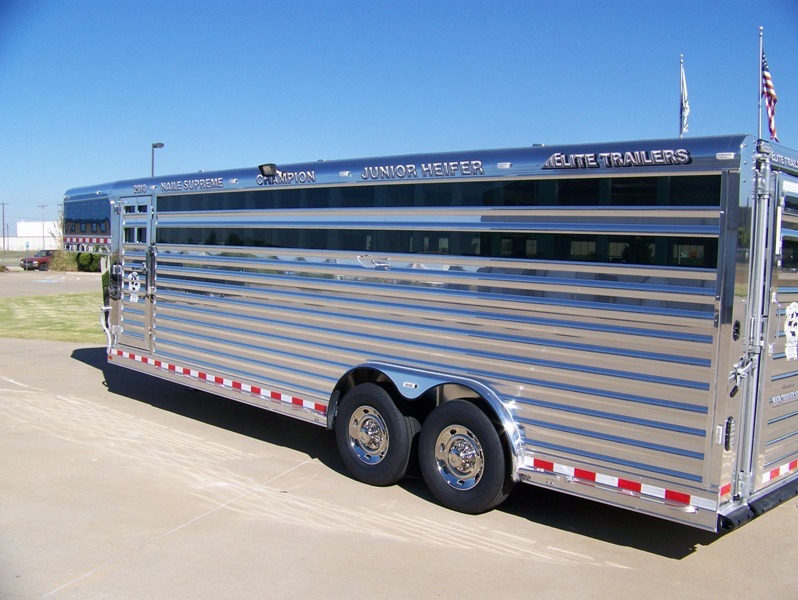 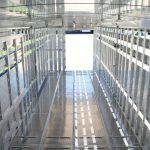 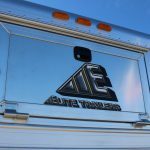 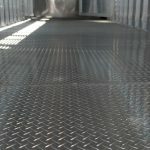 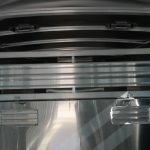 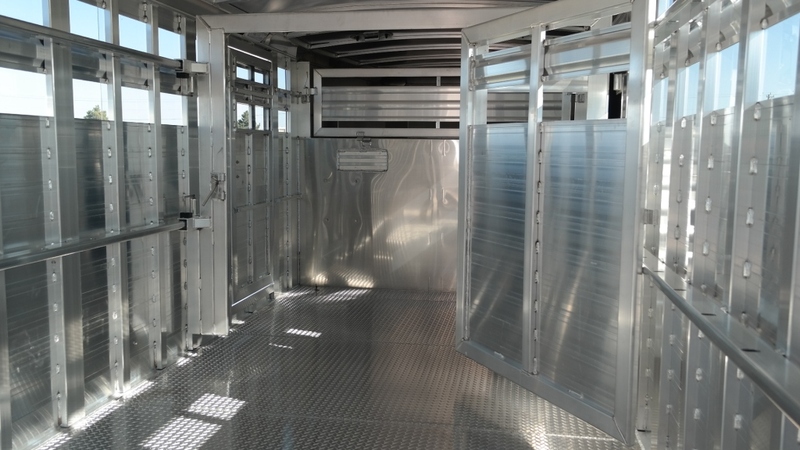 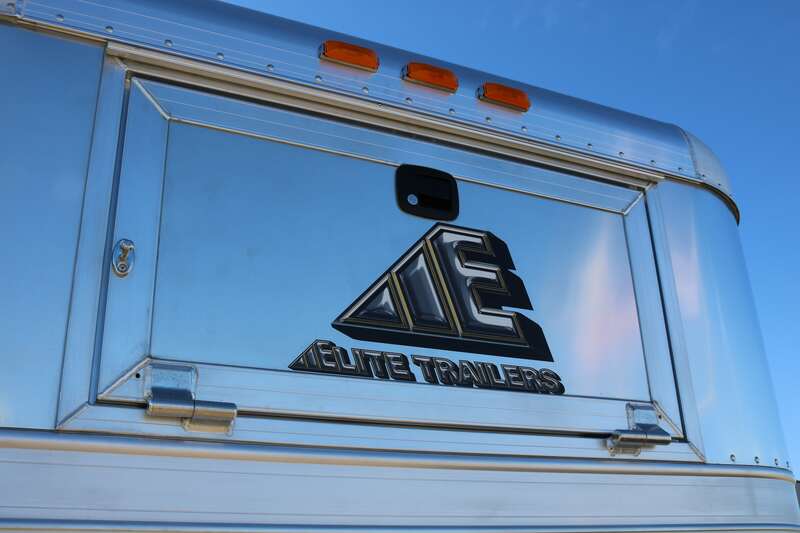 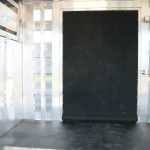 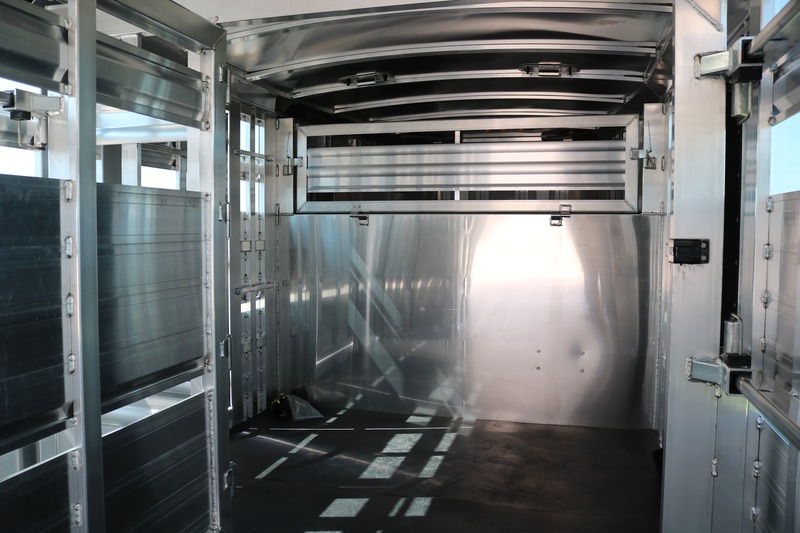 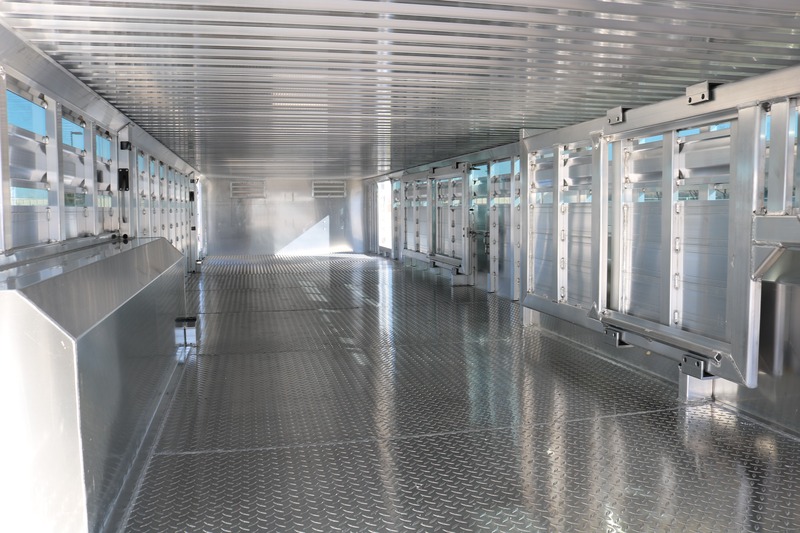 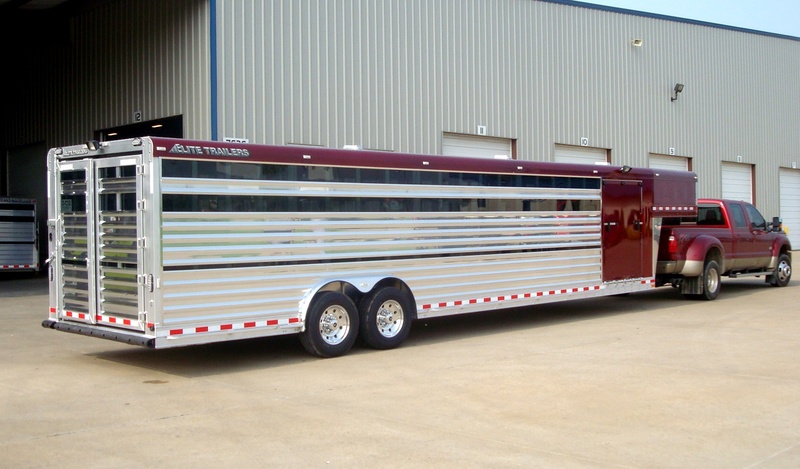 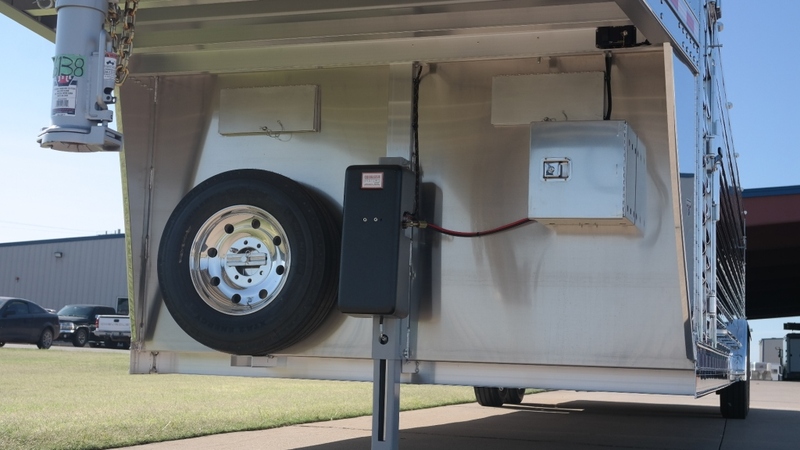 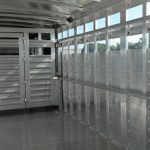 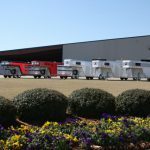 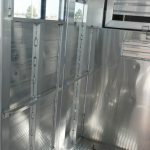 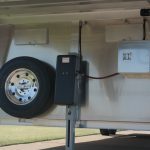 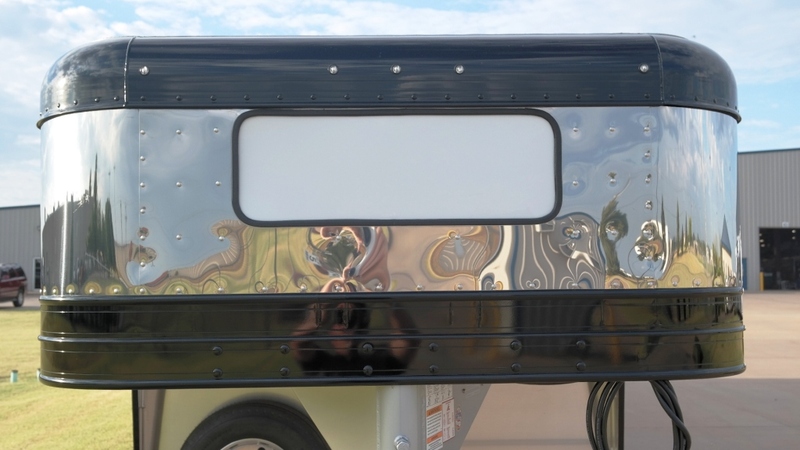 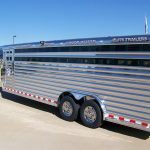 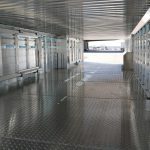 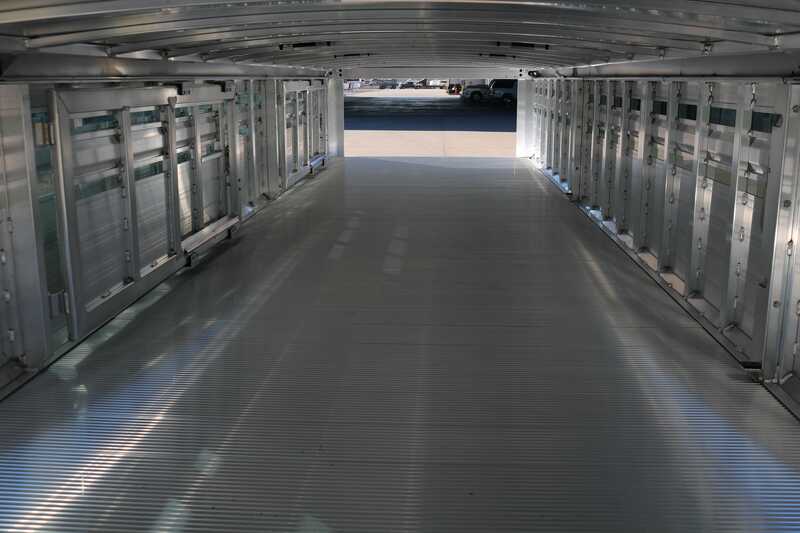 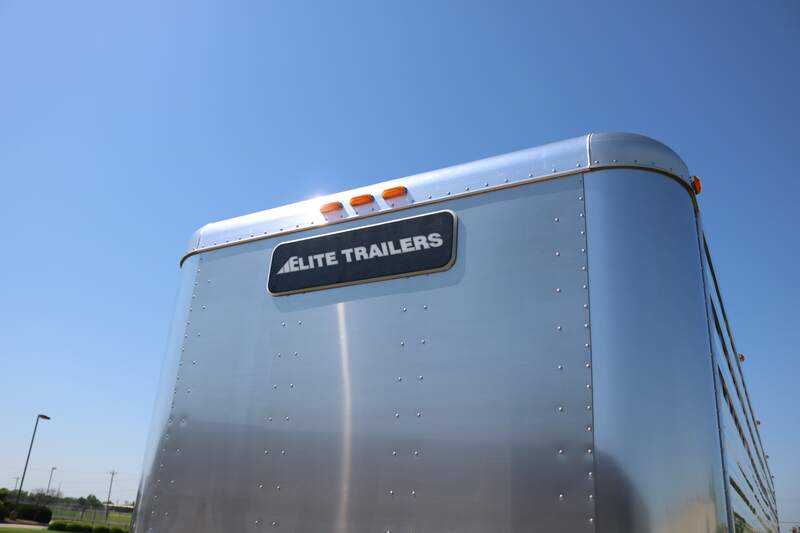 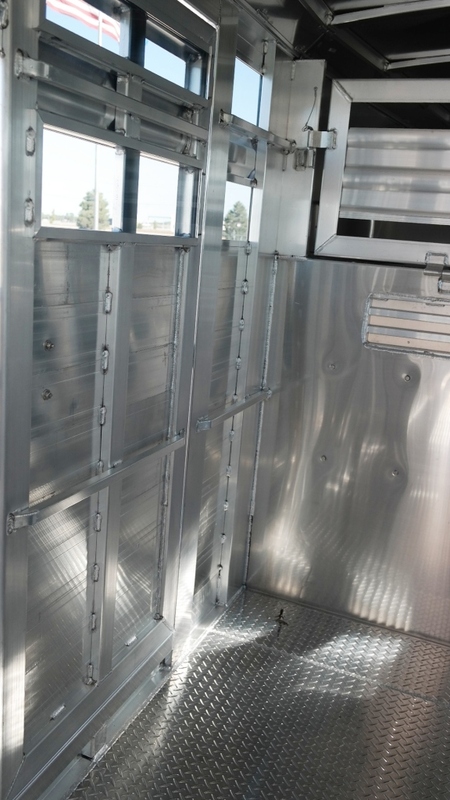 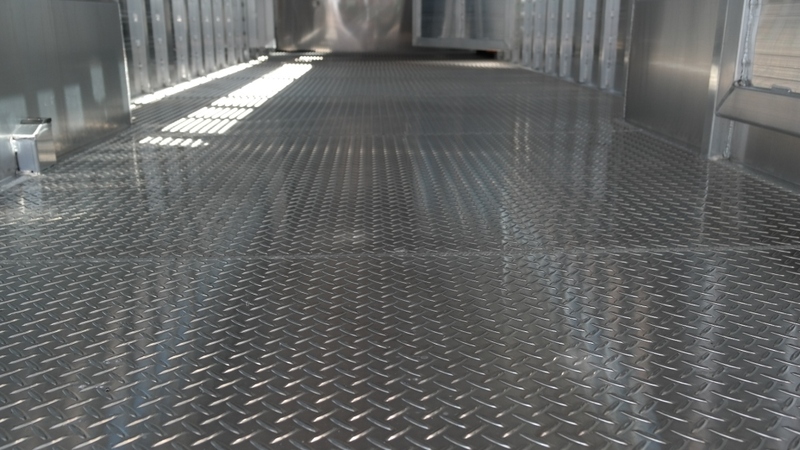 We can build from standard floor plans, or customize the trailer to suit your specific needs. 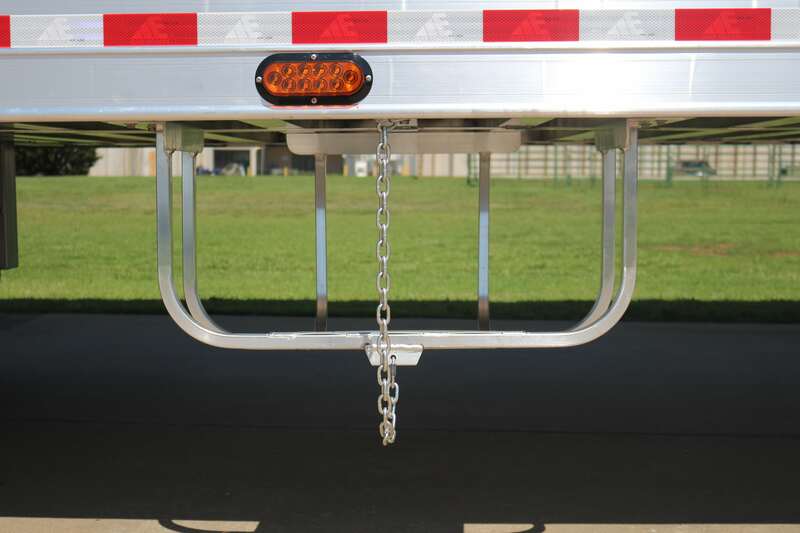 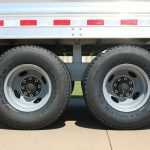 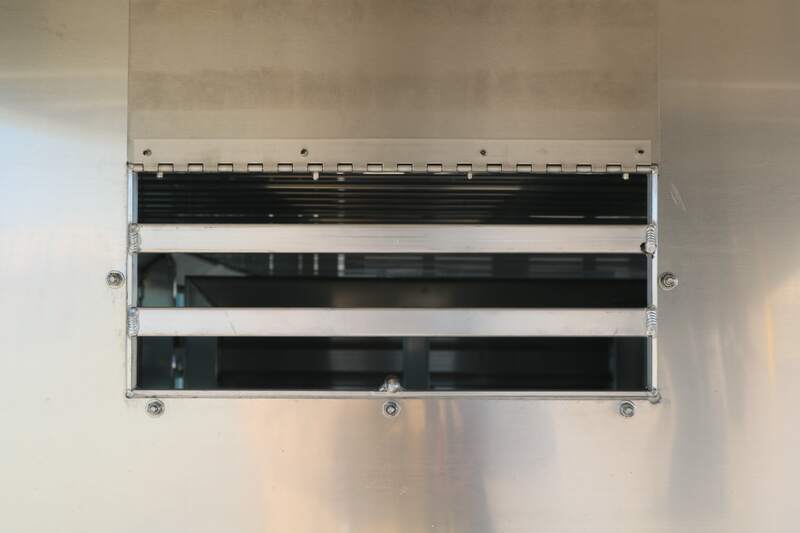 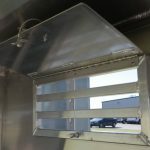 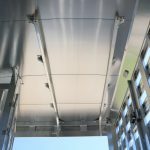 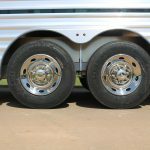 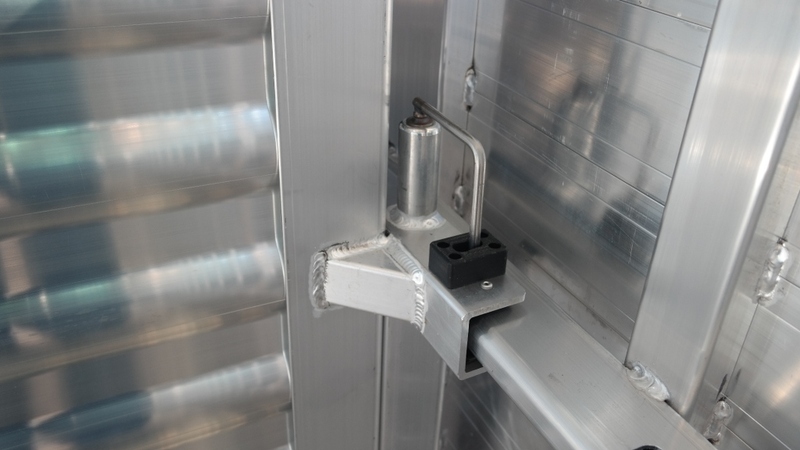 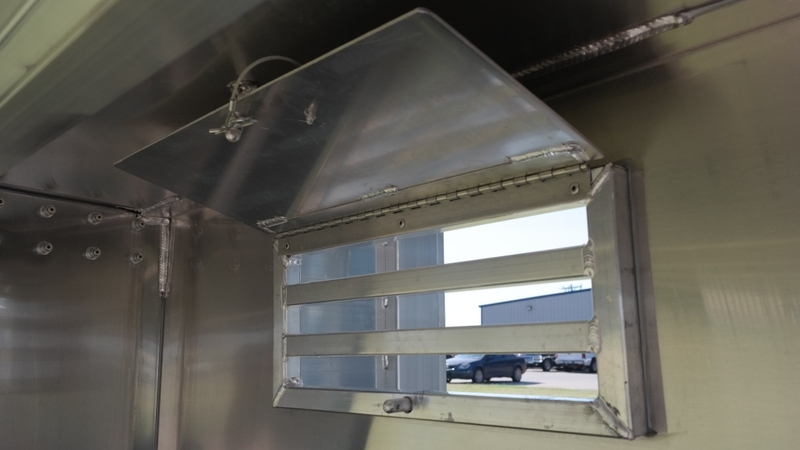 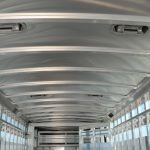 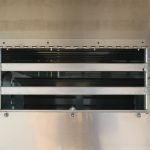 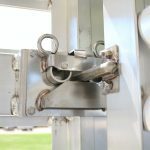 Raise Standard Drop Height from 49-1/2" to 52-1/2"